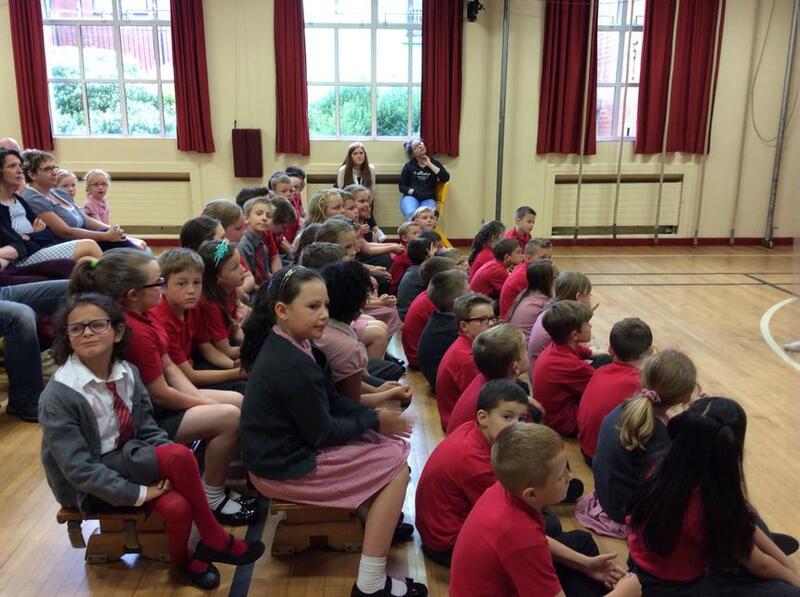 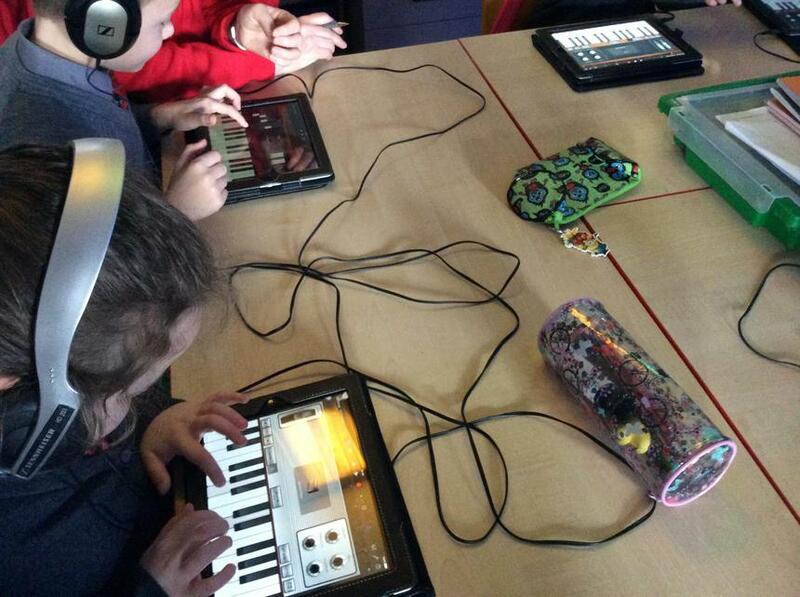 P4M are working with the Amma Centre to complete an exciting project incorporating Music and Sound. 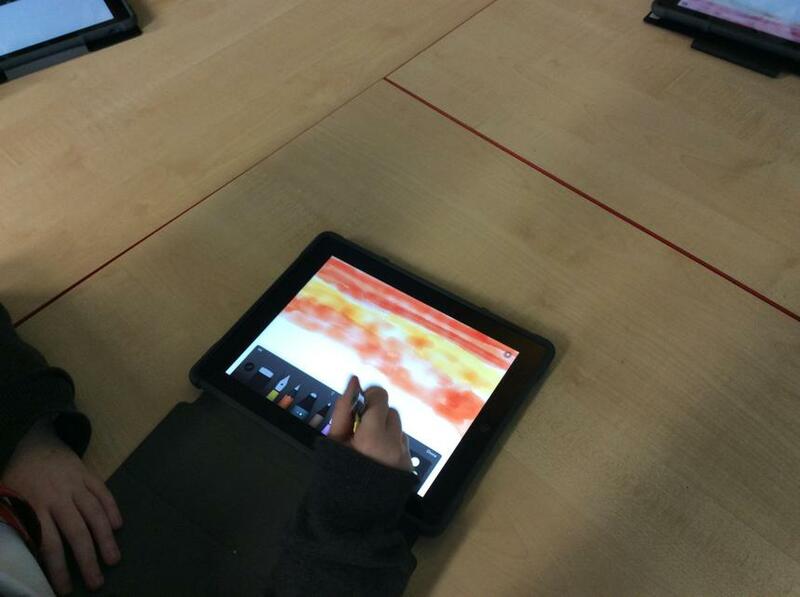 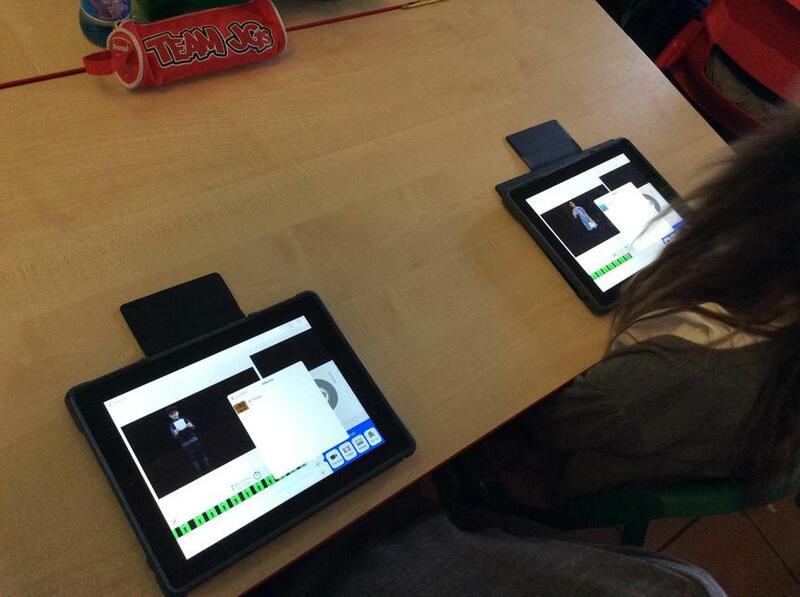 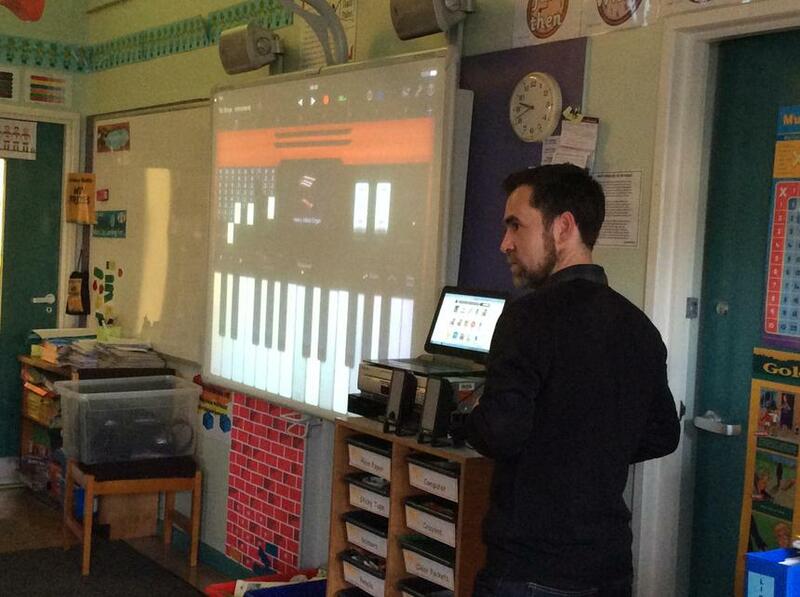 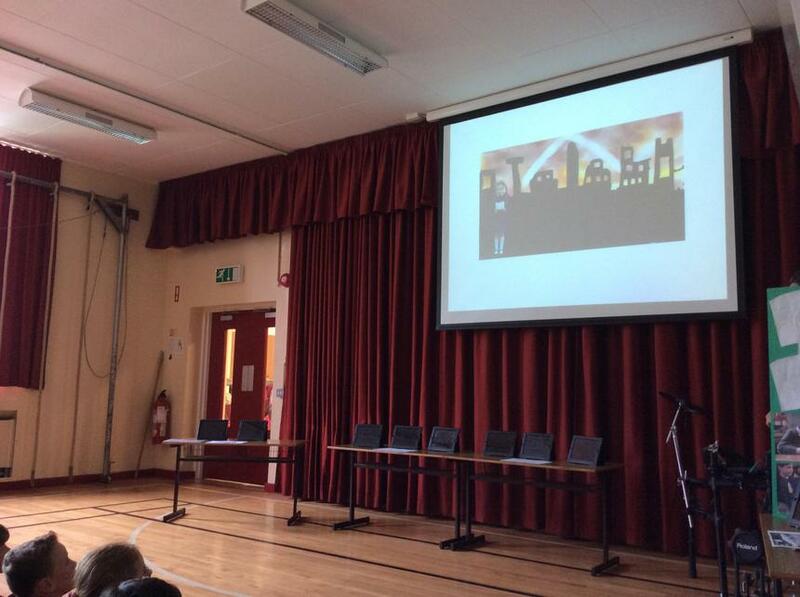 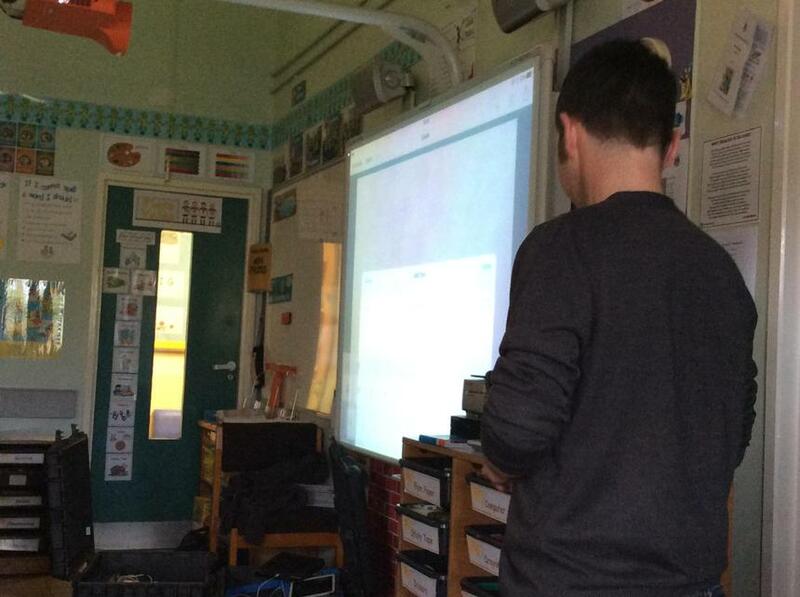 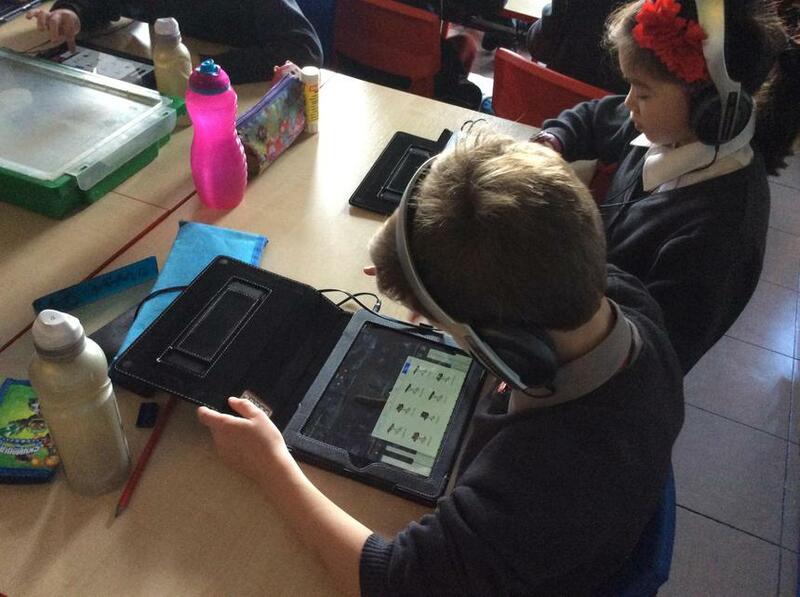 The first session was an introduction to the GarageBand app. 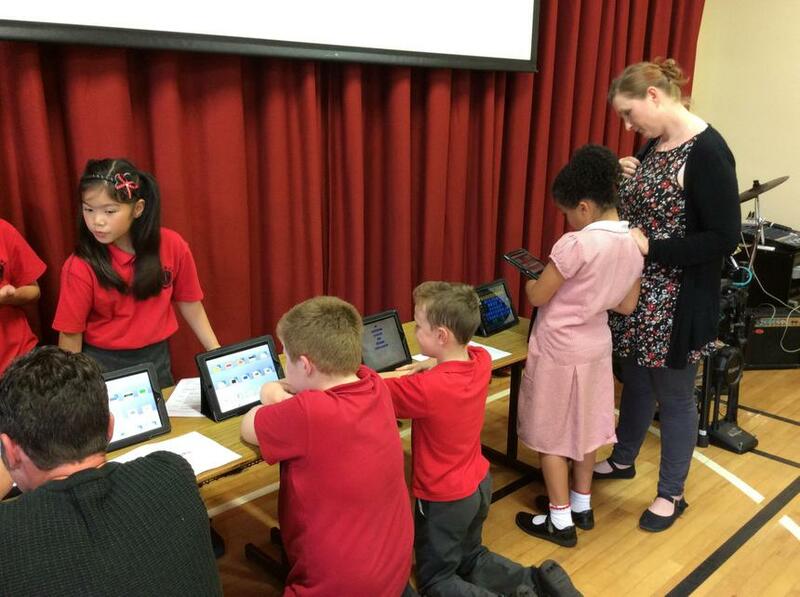 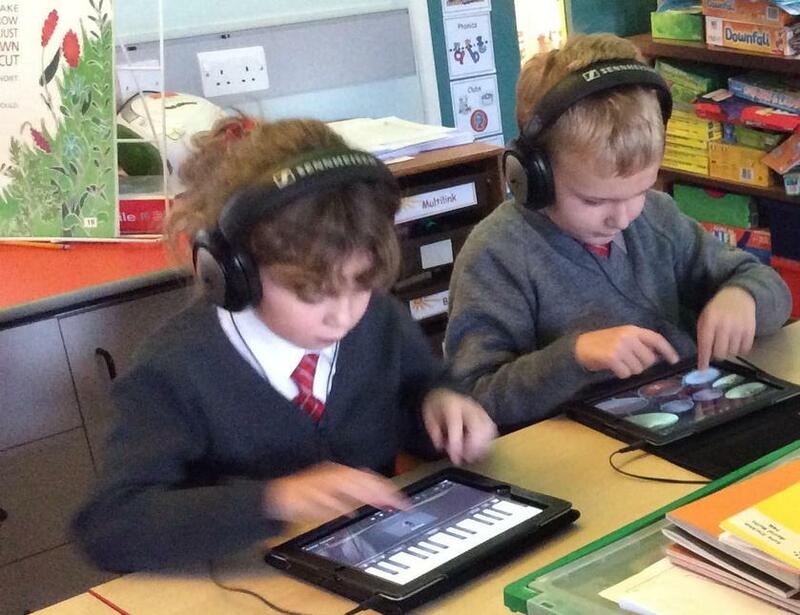 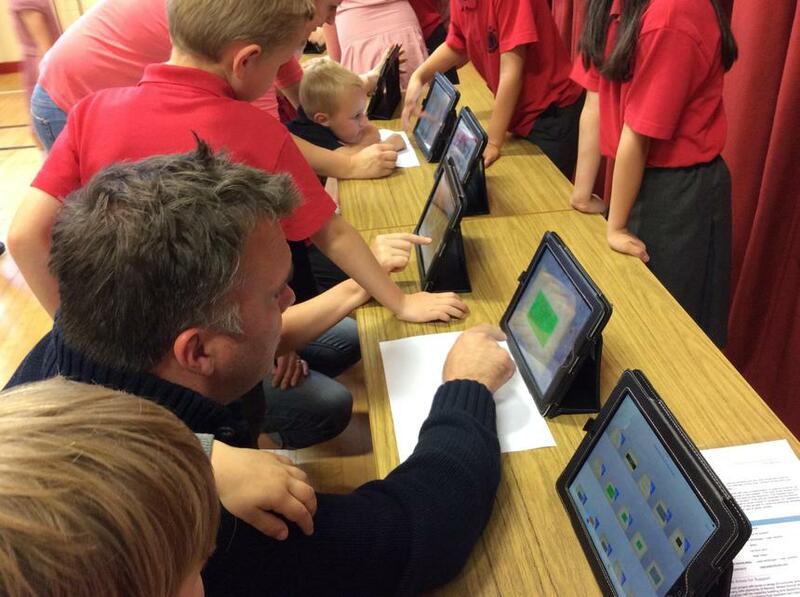 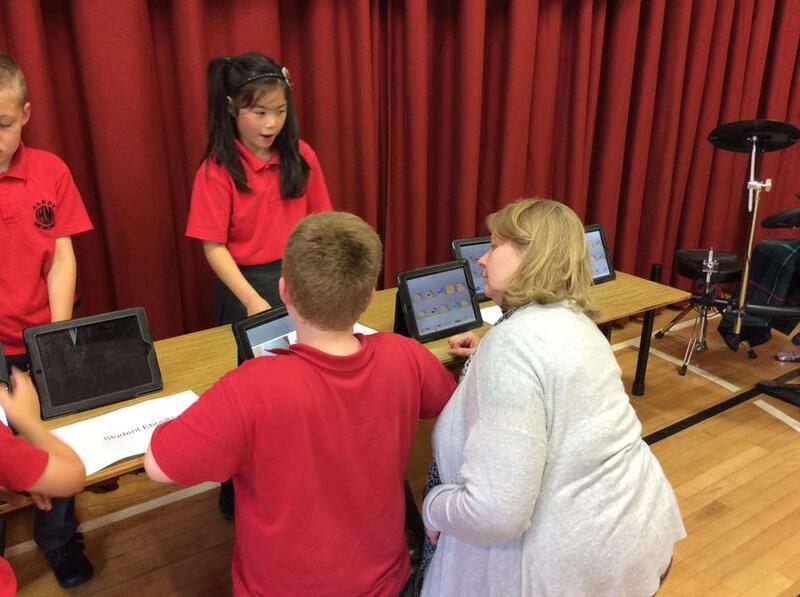 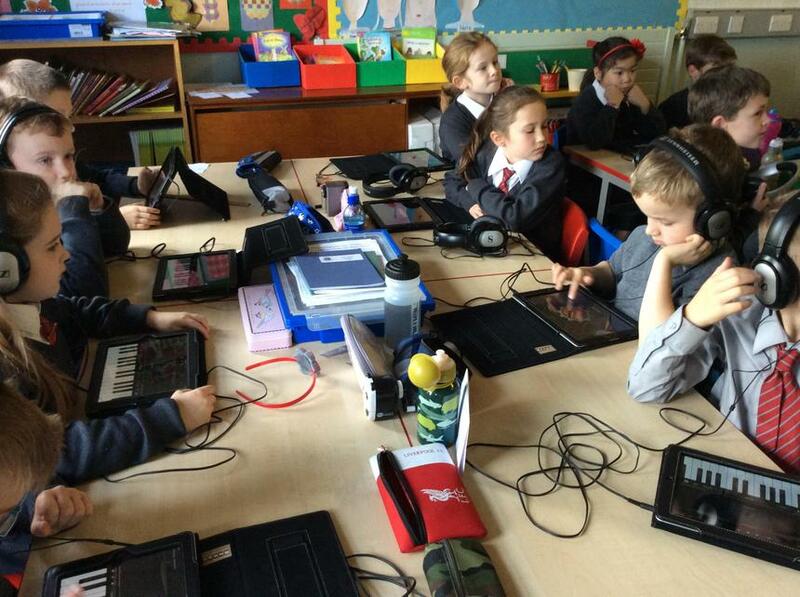 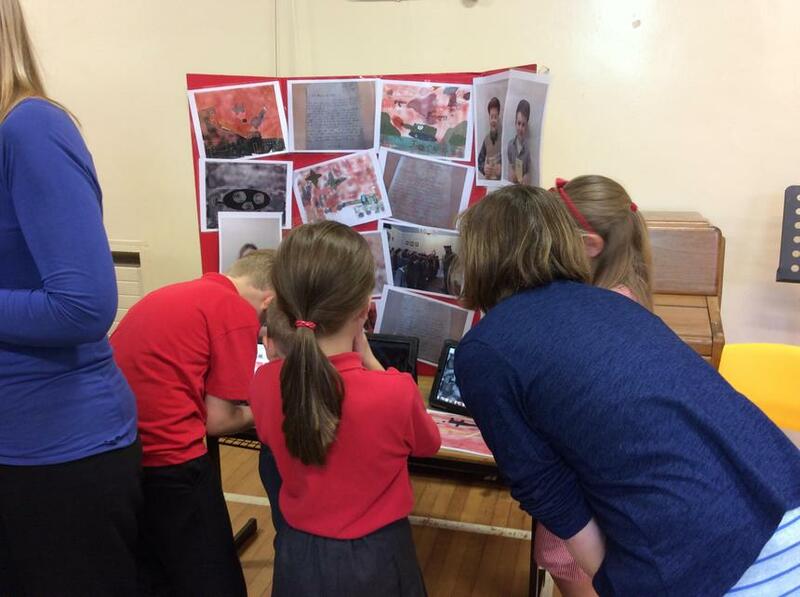 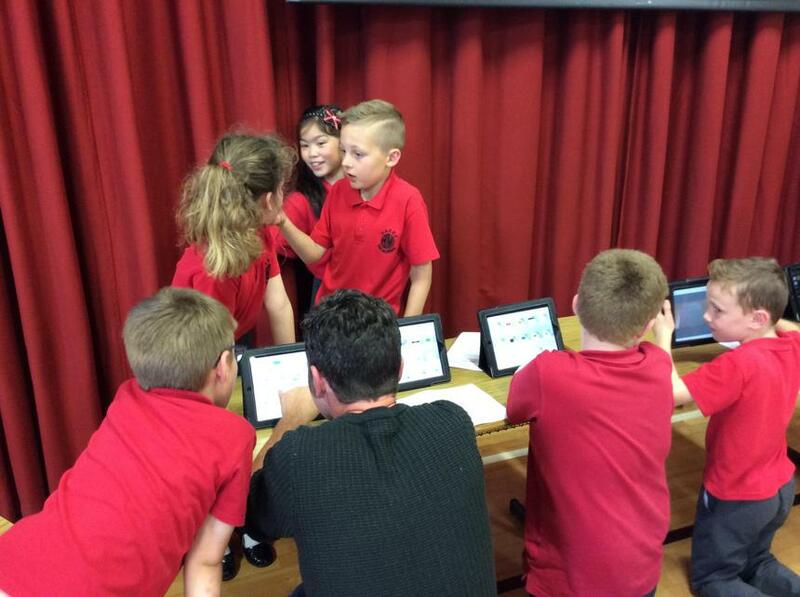 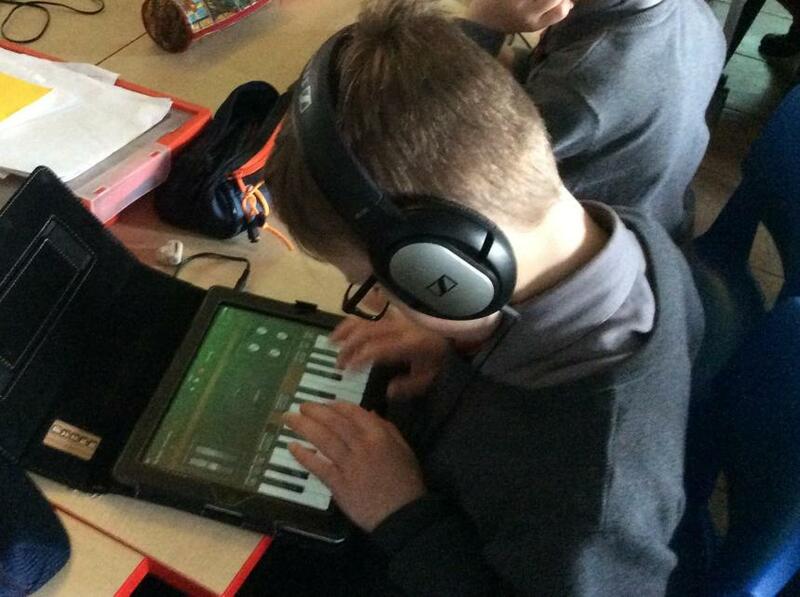 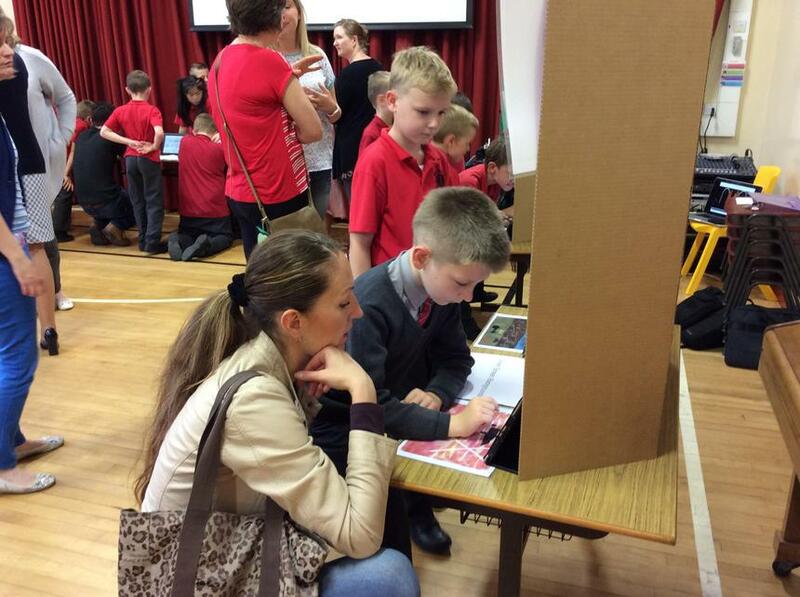 Every child had access to an ipad and they were able to explore the musical instruments within the app. 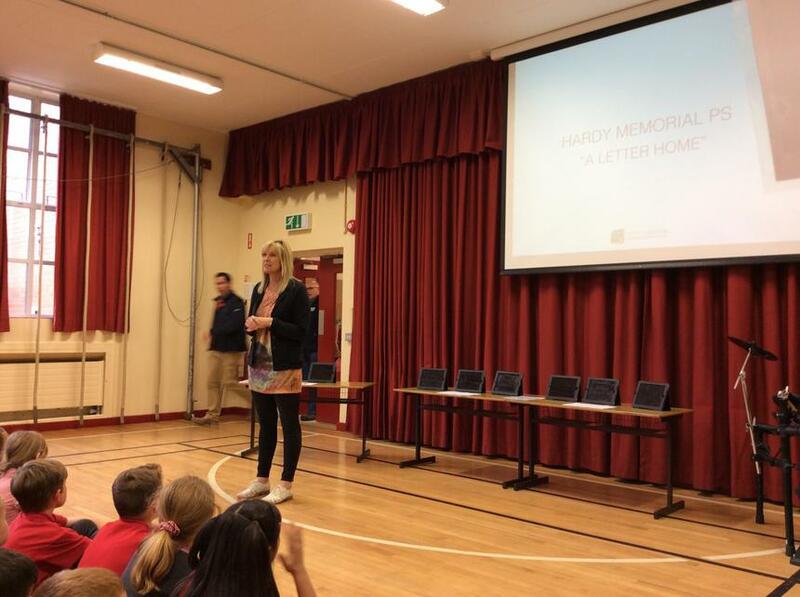 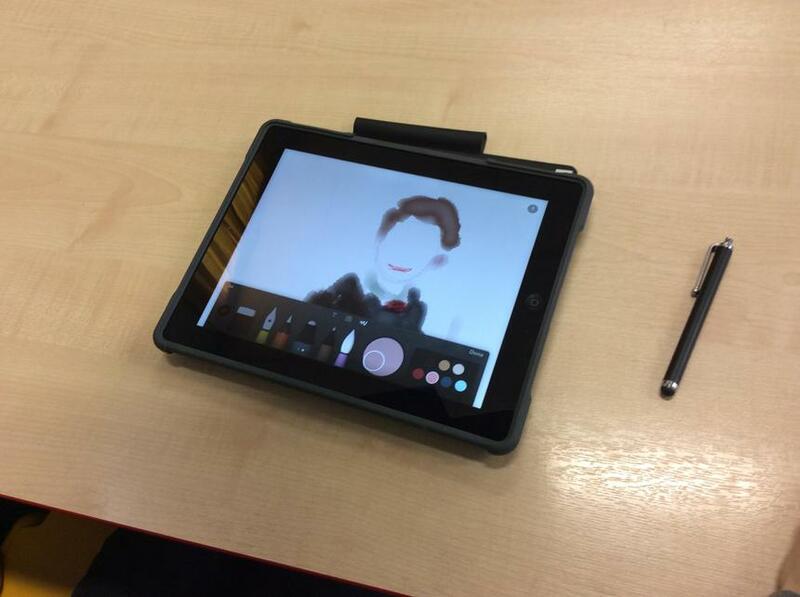 Some pupils now have a favourite! 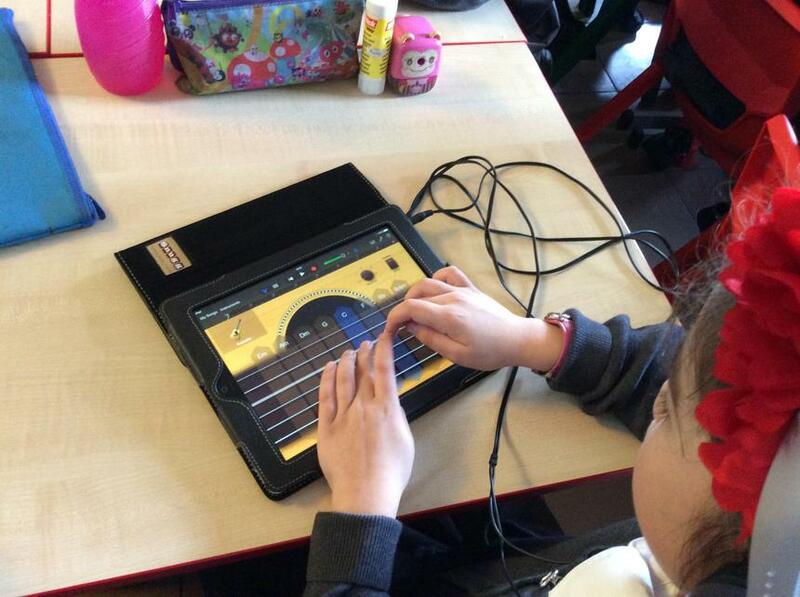 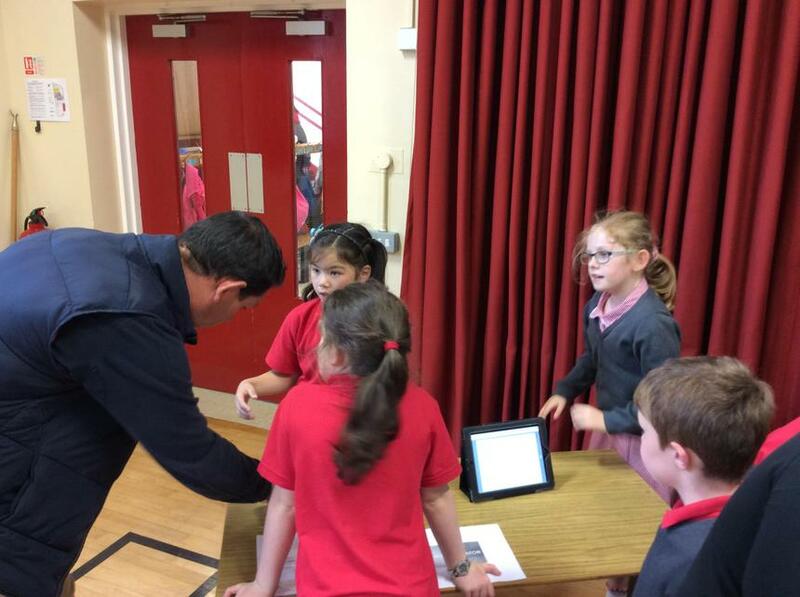 They were shown how to use multi-touch gestures to play a variety of instruments. 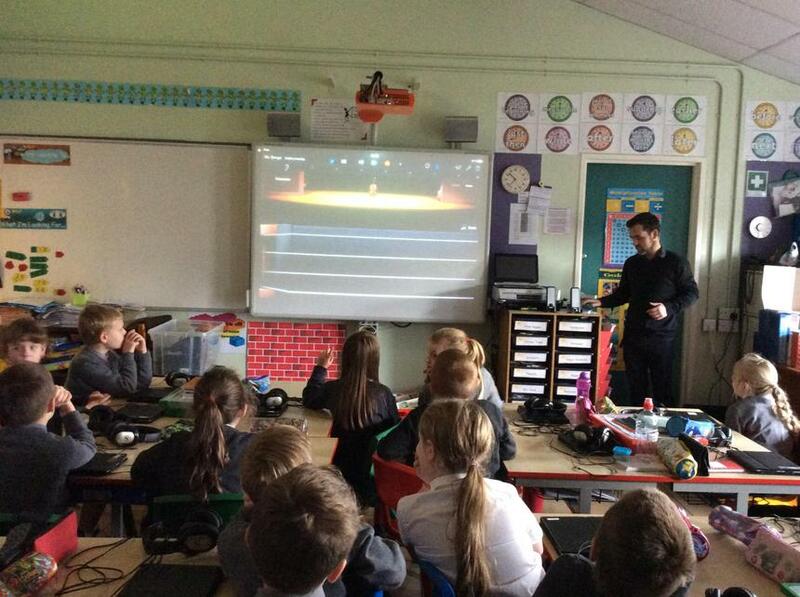 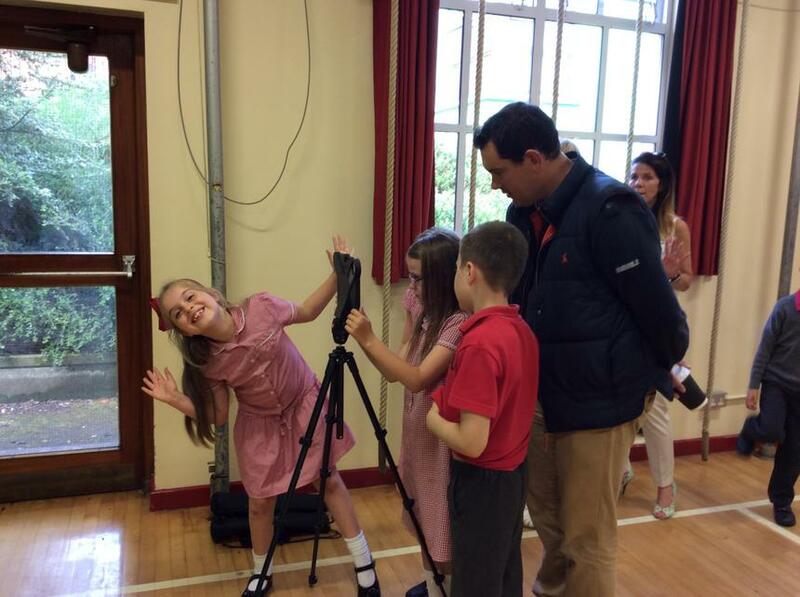 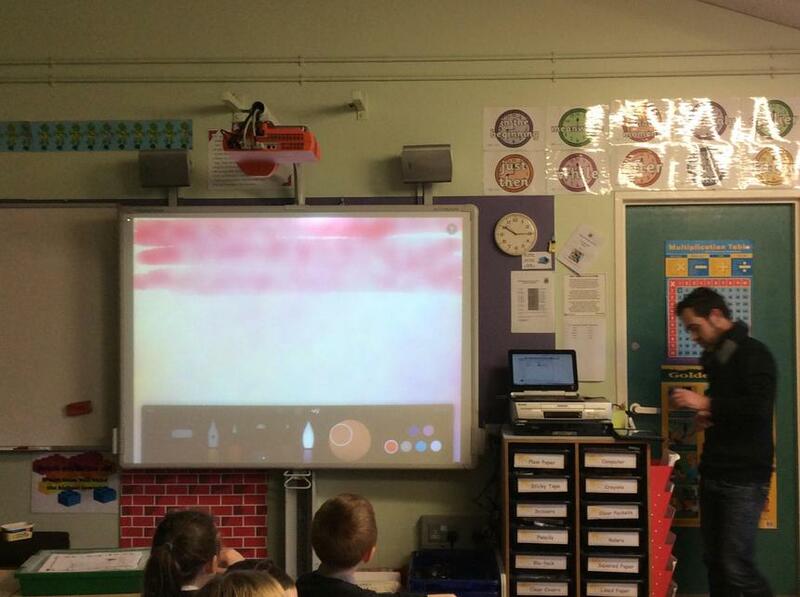 They were introduced to layers and by the end of the first session most pupils had three layers recorded including vocal. 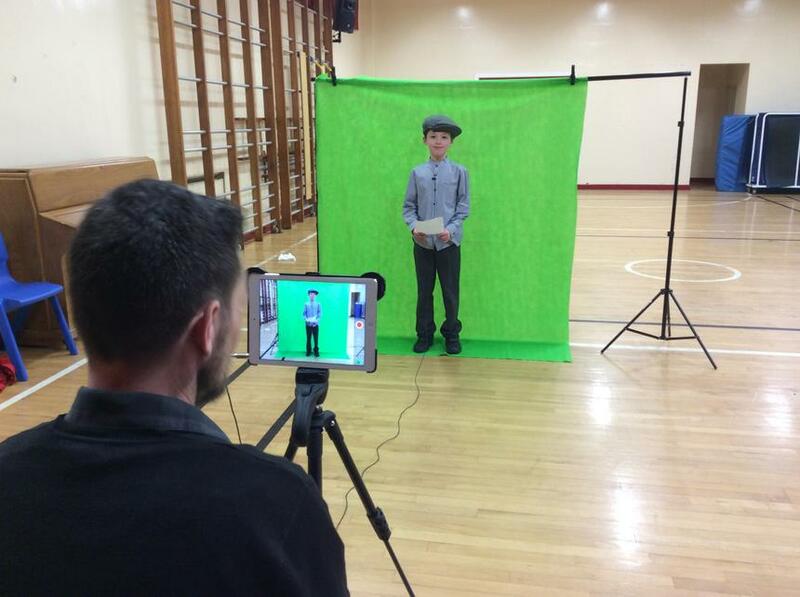 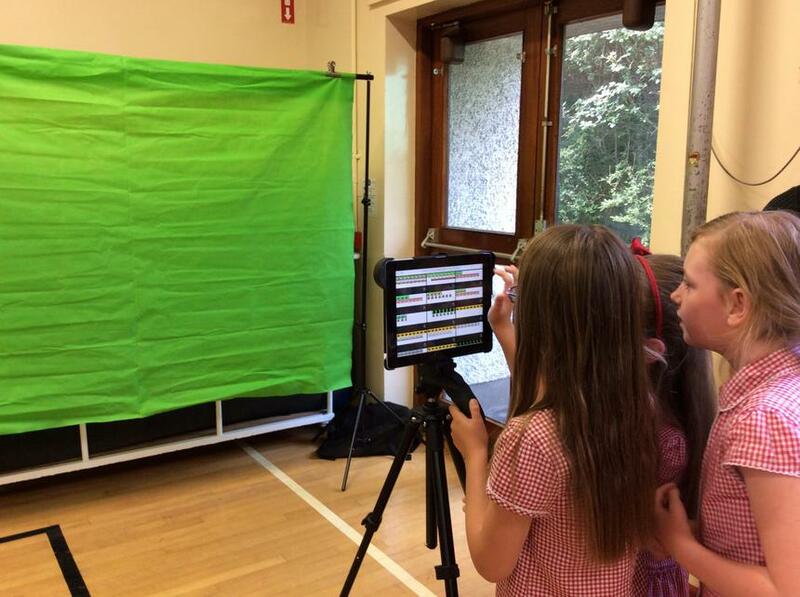 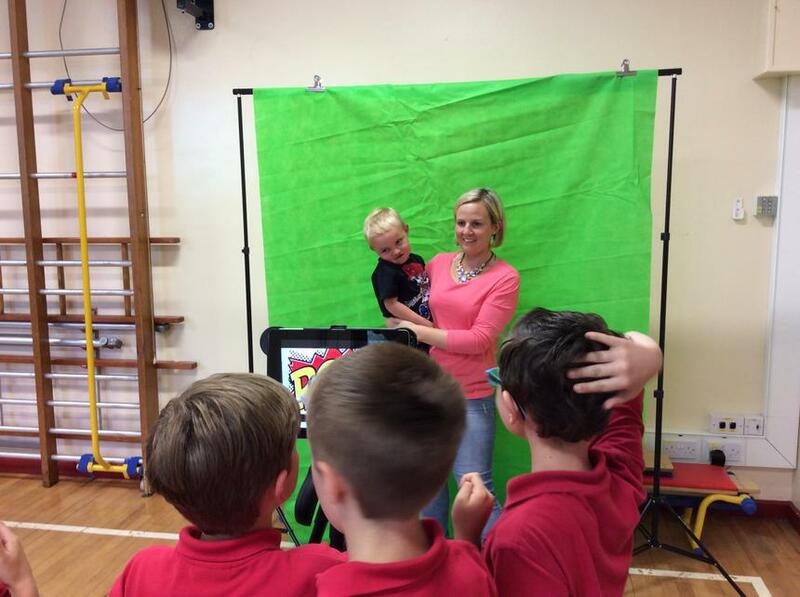 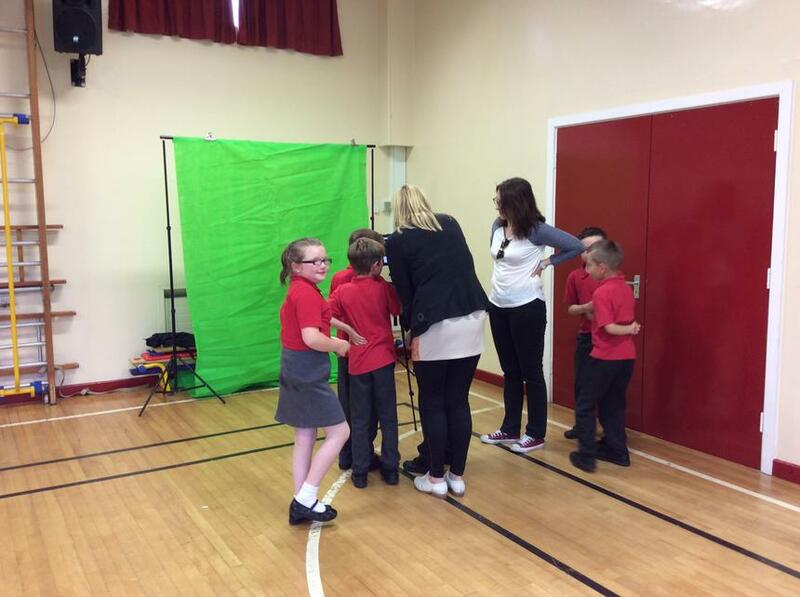 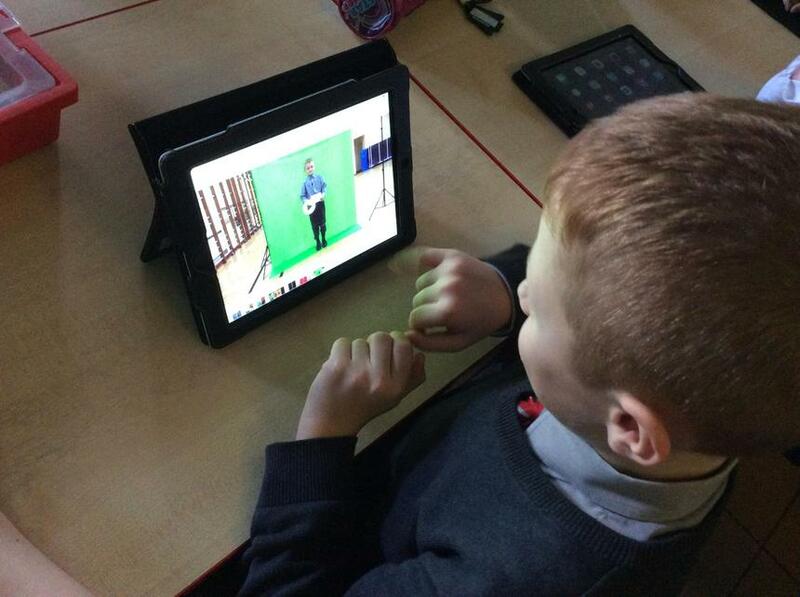 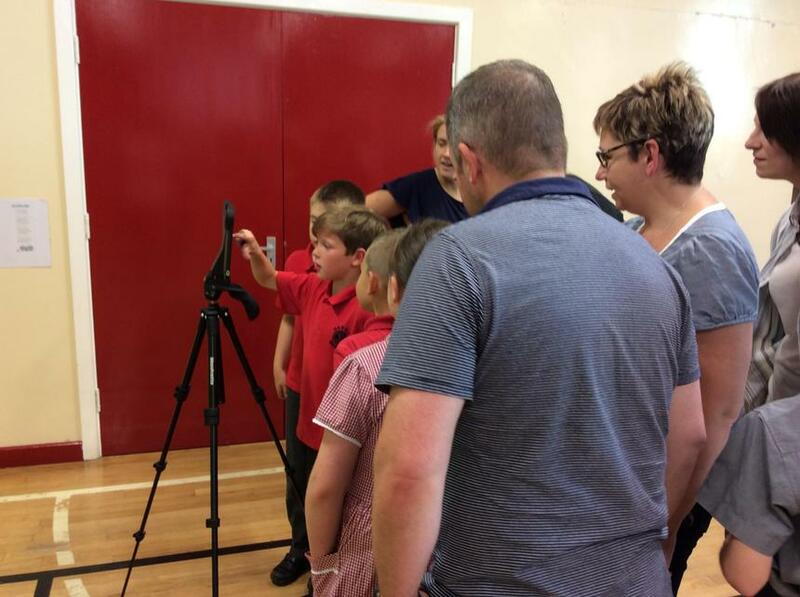 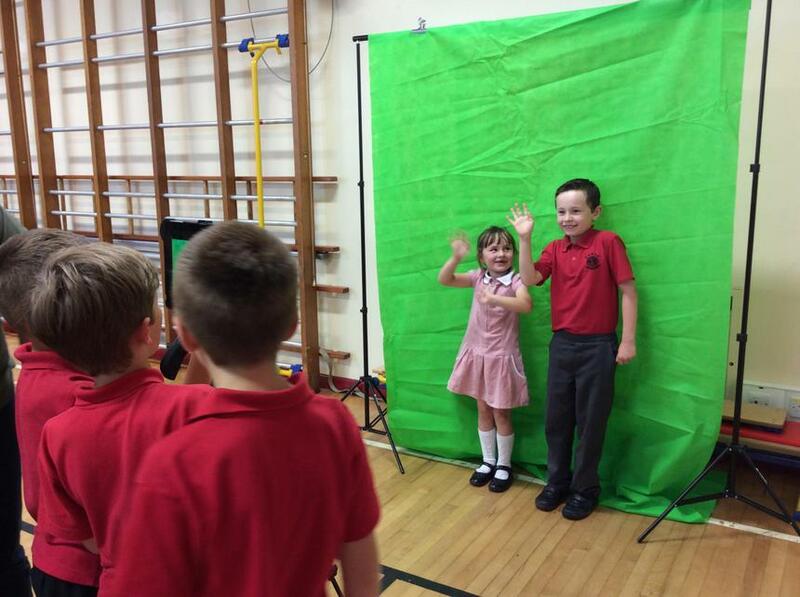 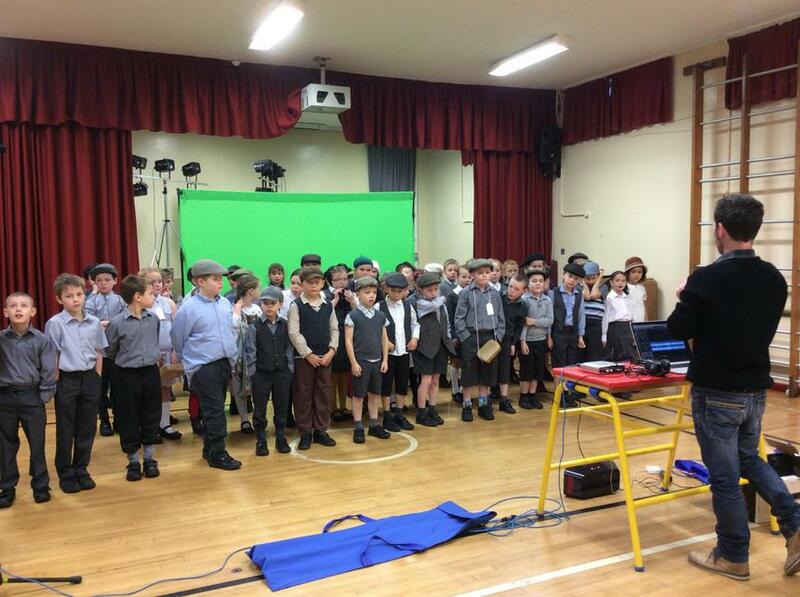 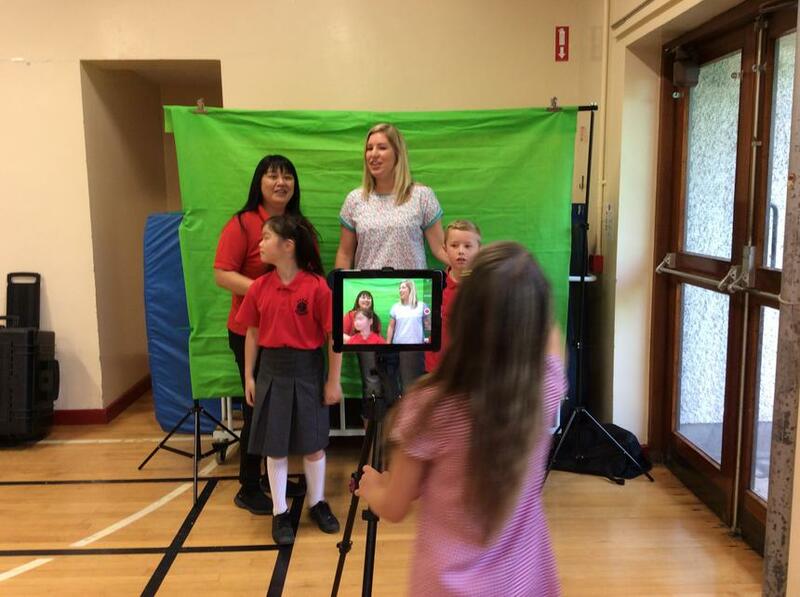 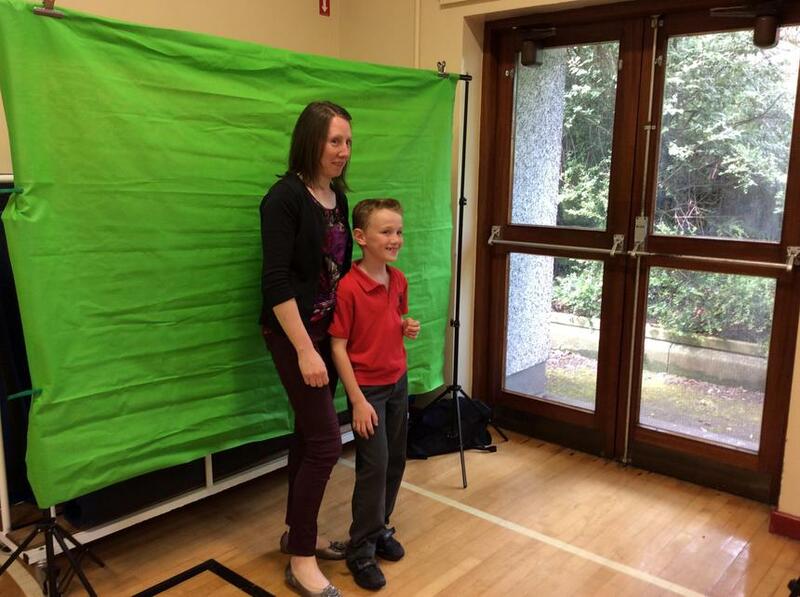 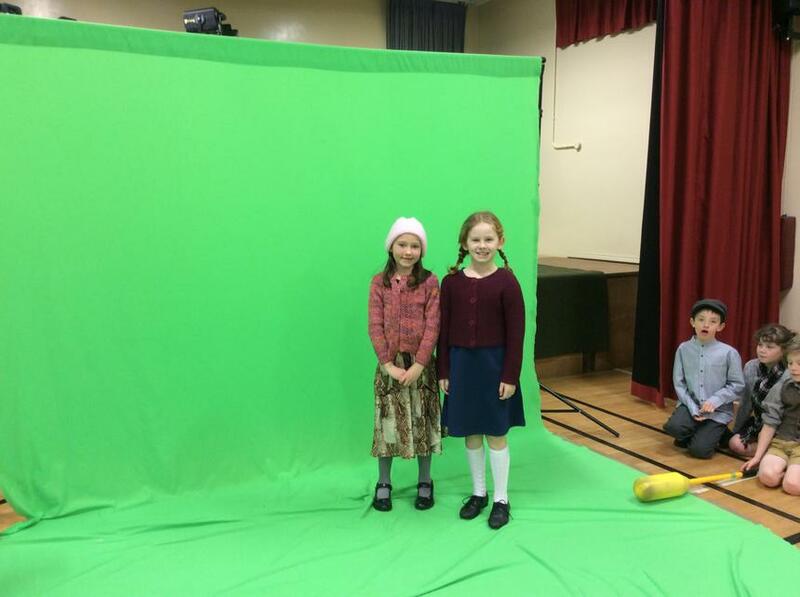 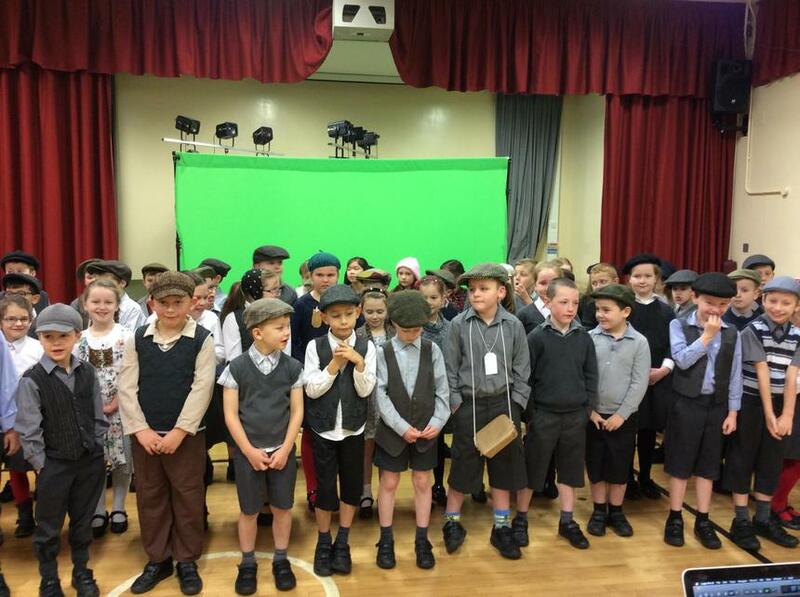 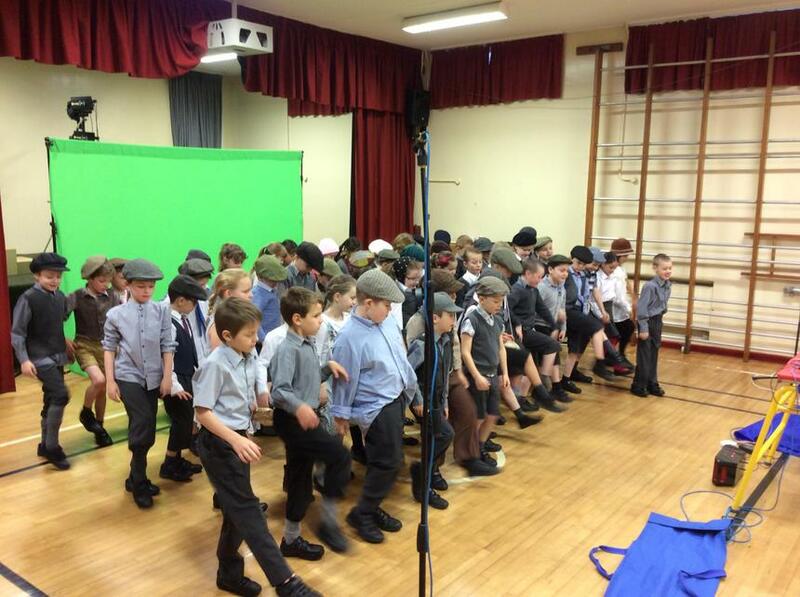 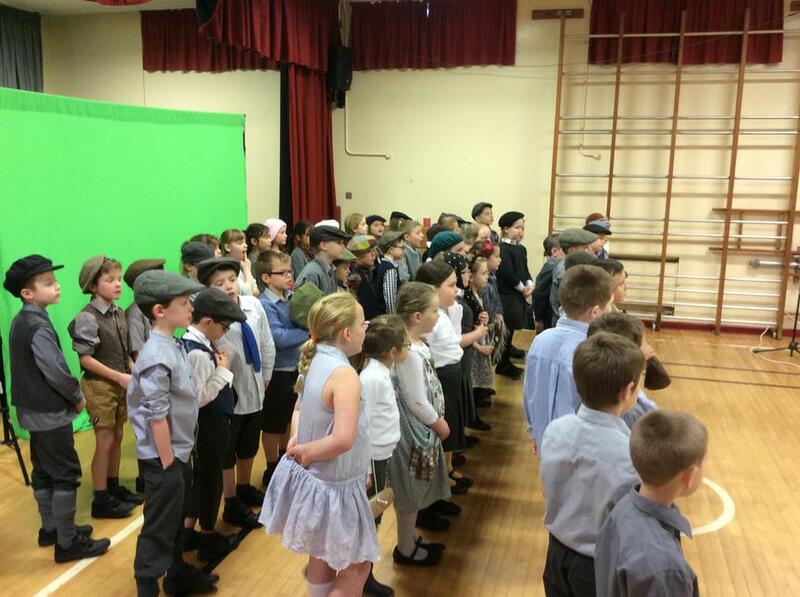 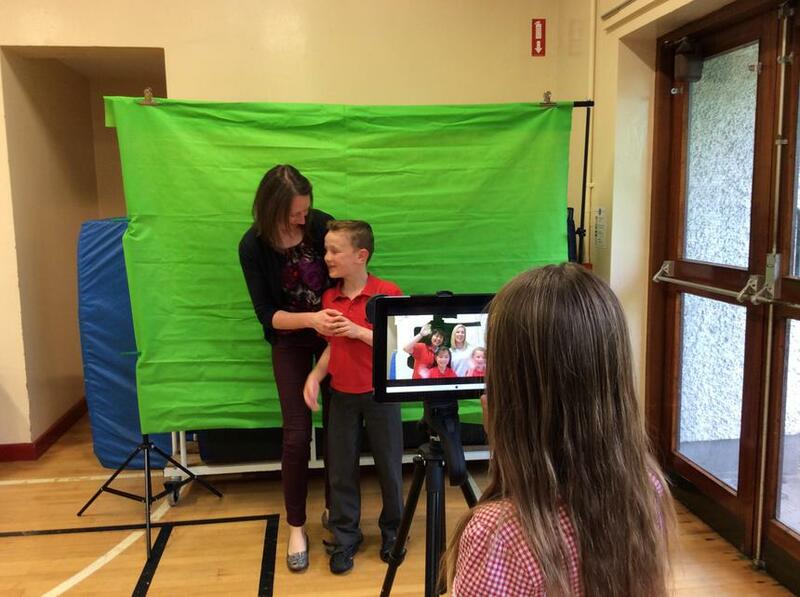 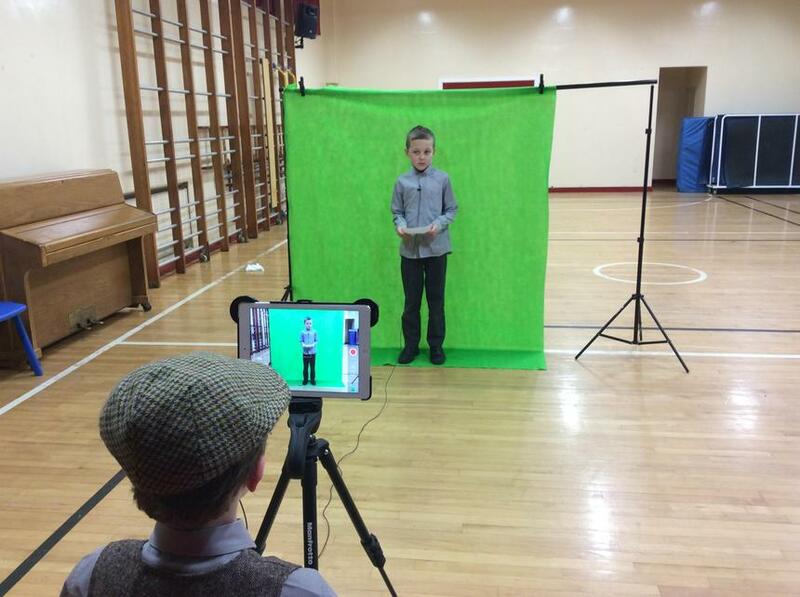 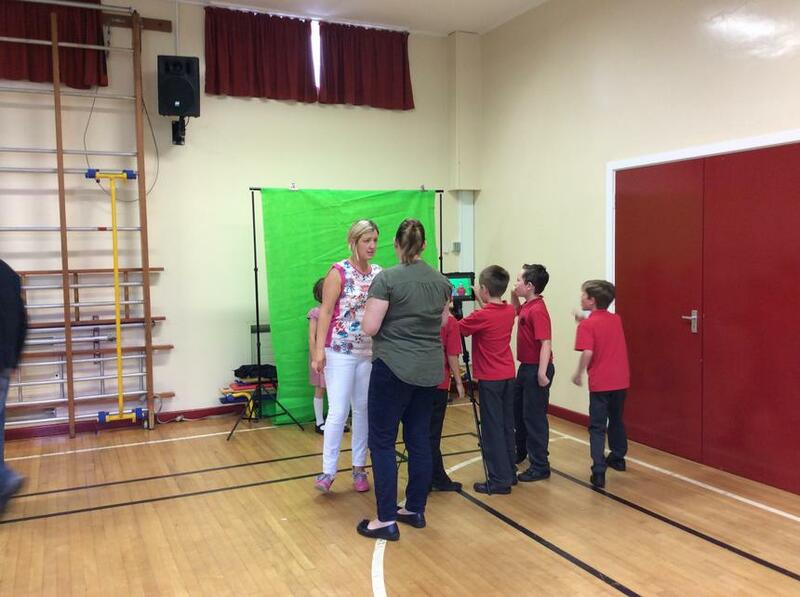 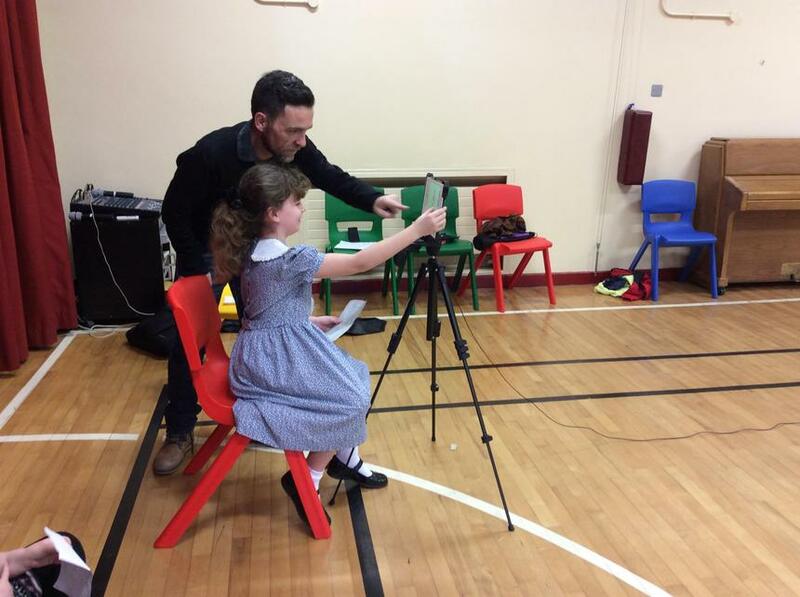 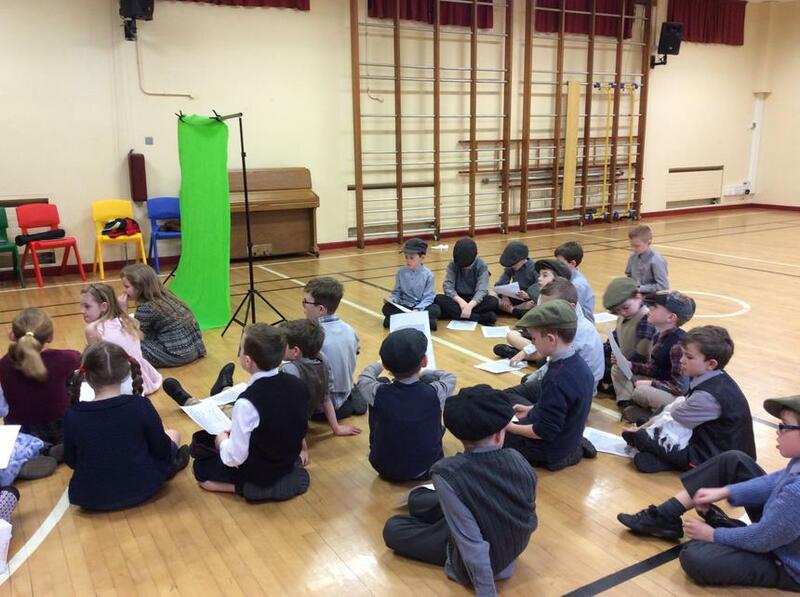 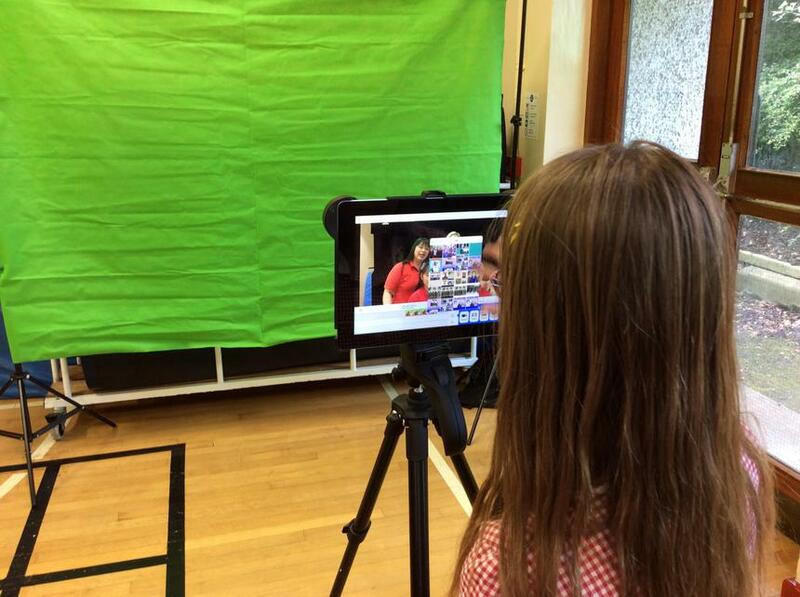 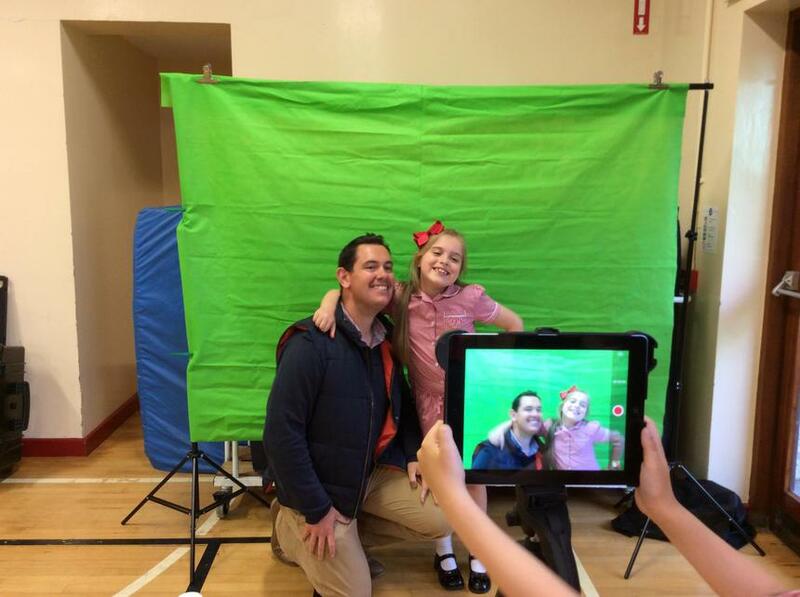 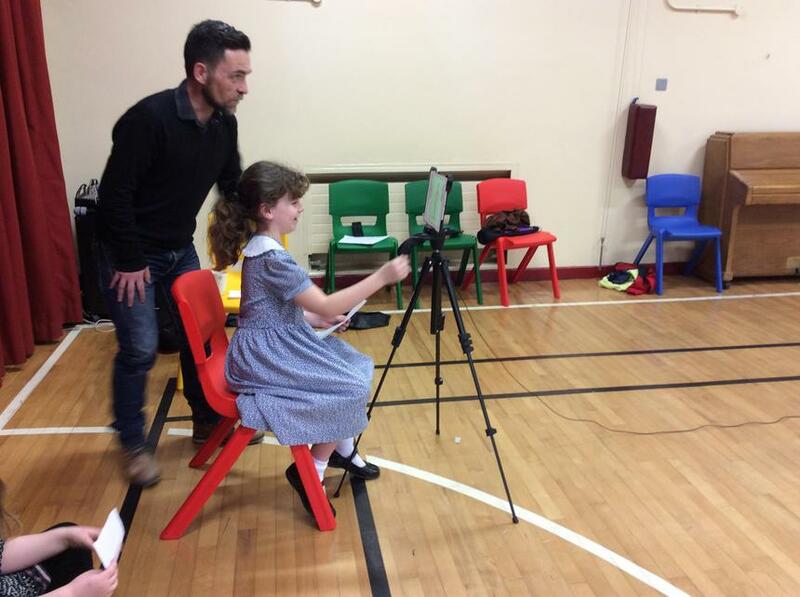 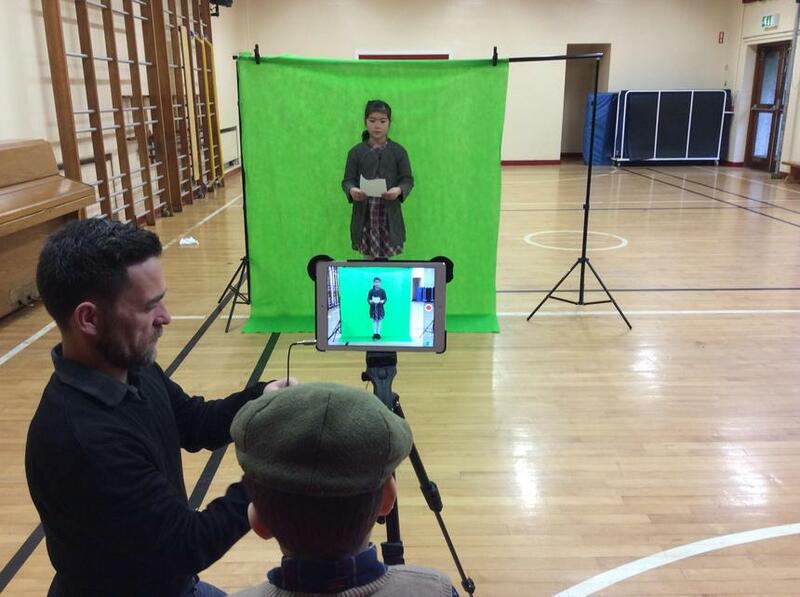 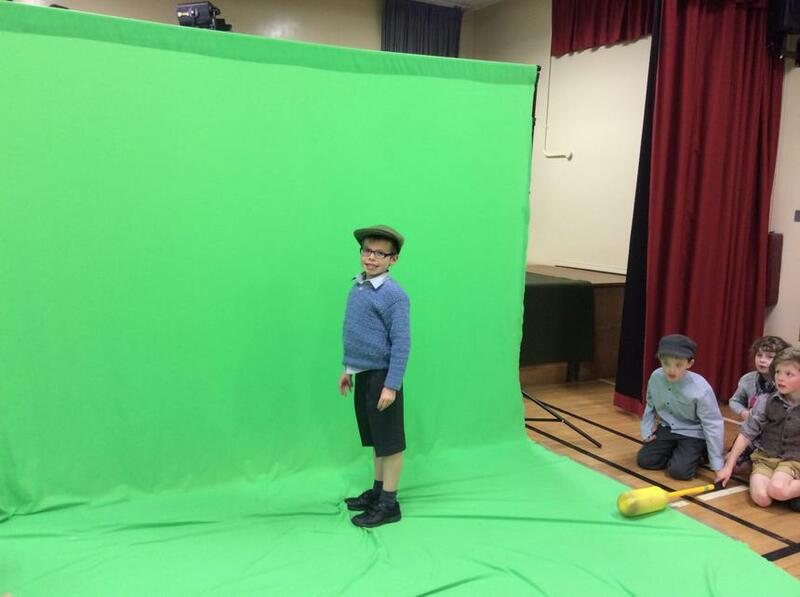 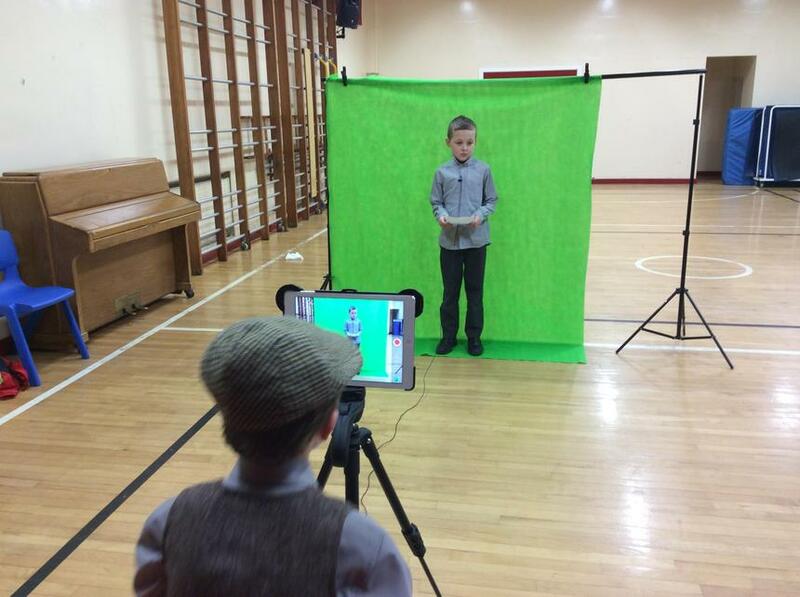 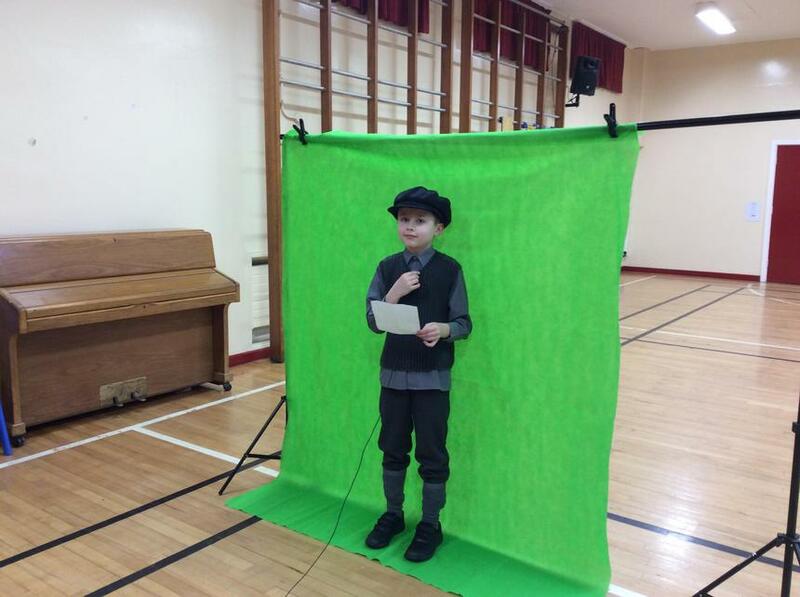 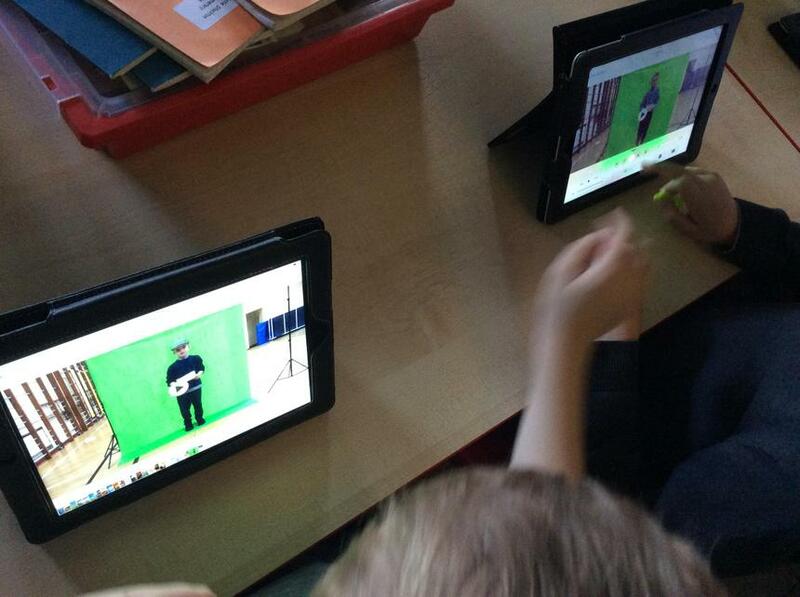 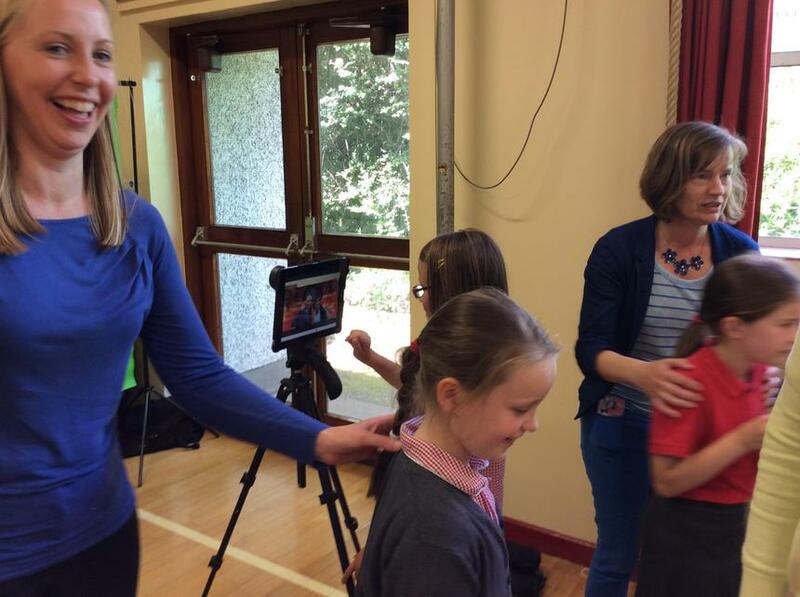 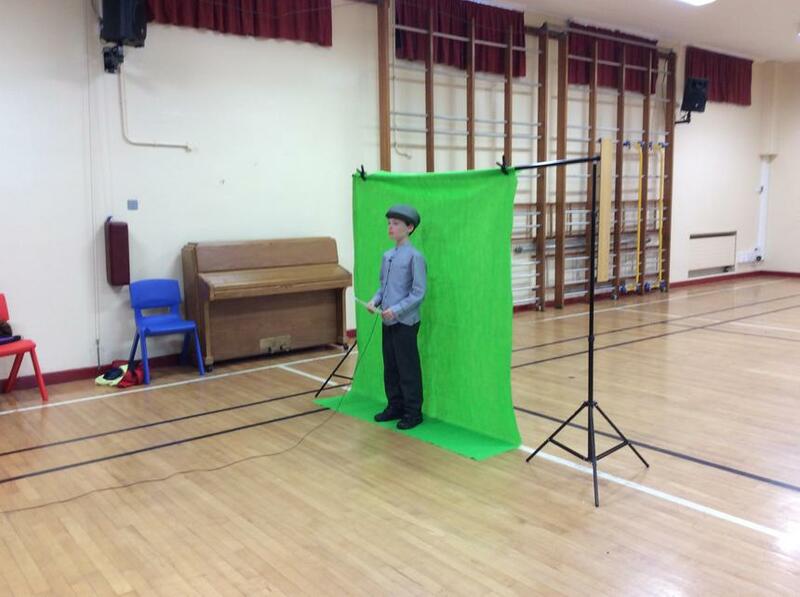 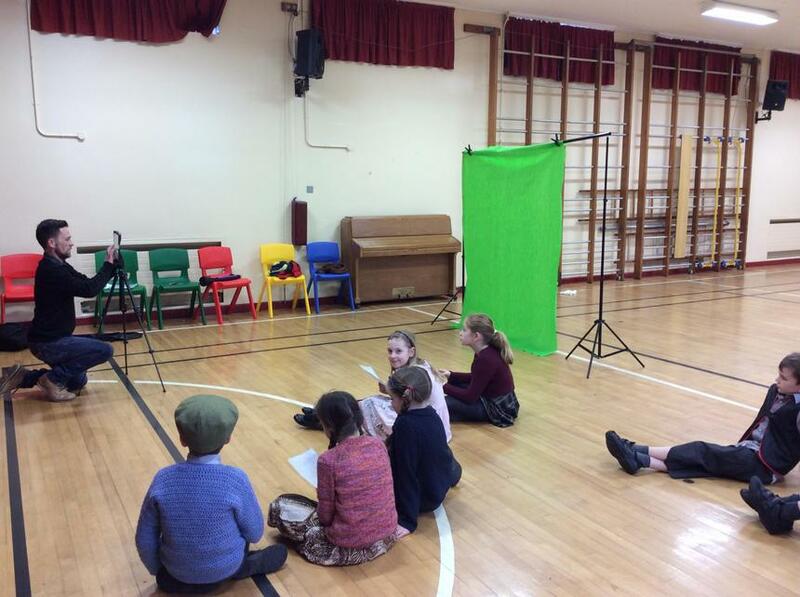 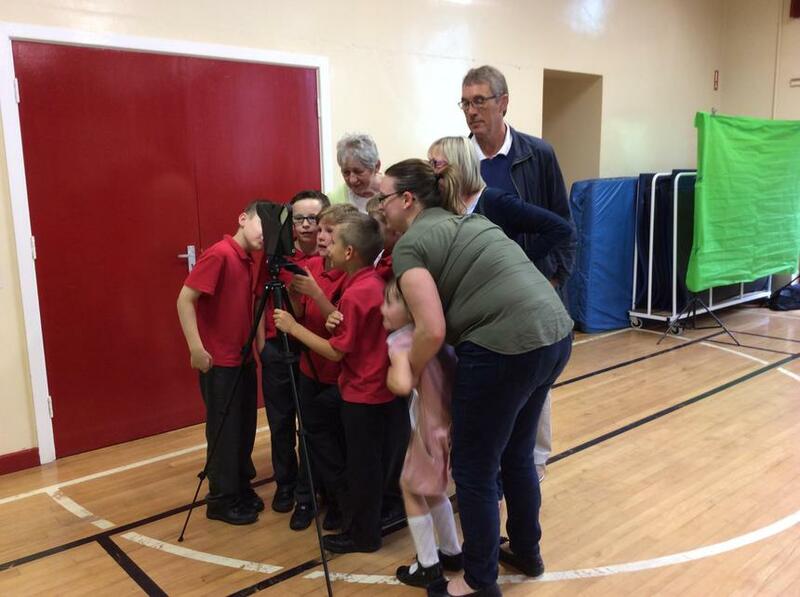 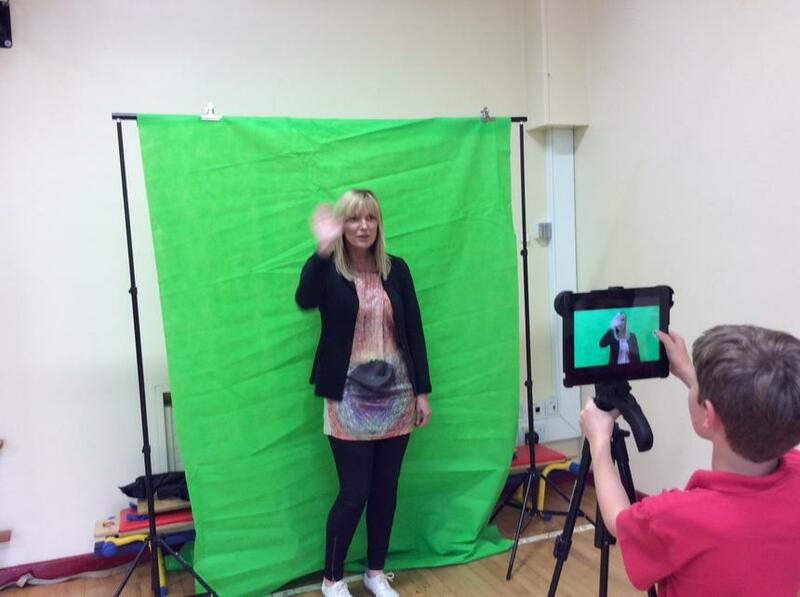 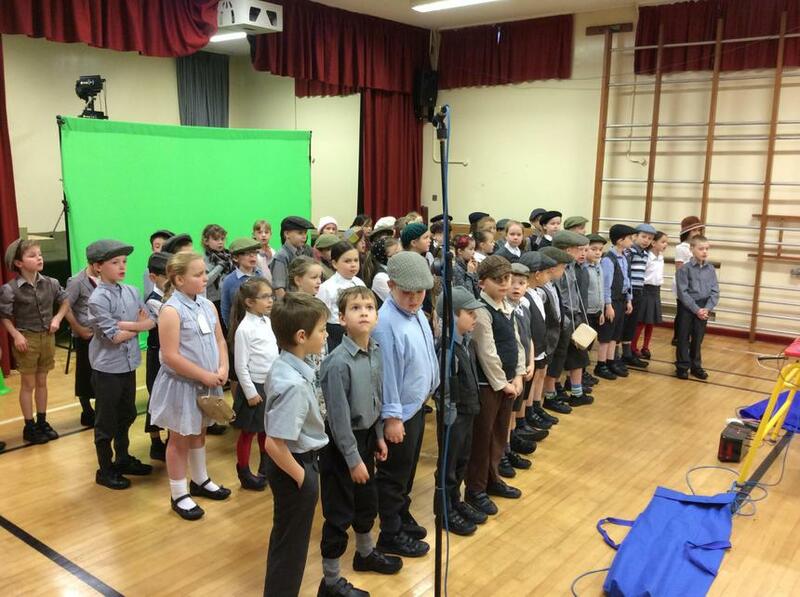 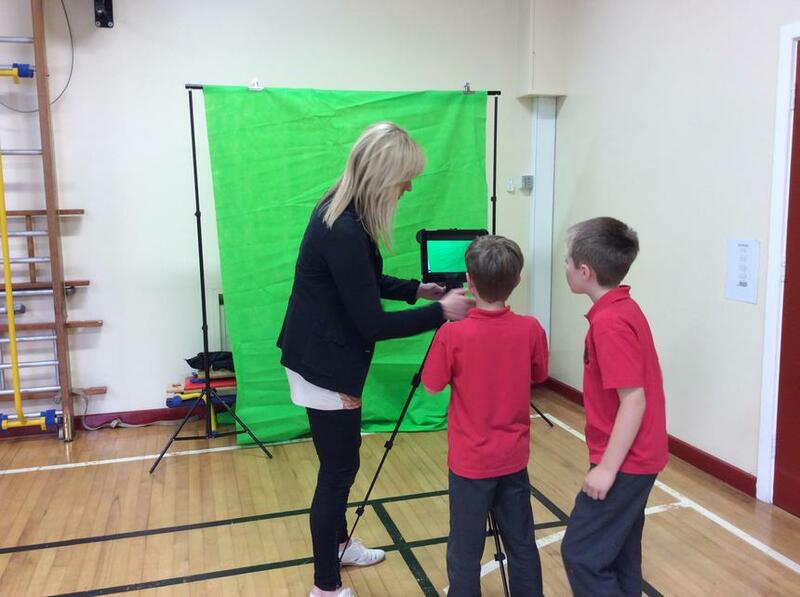 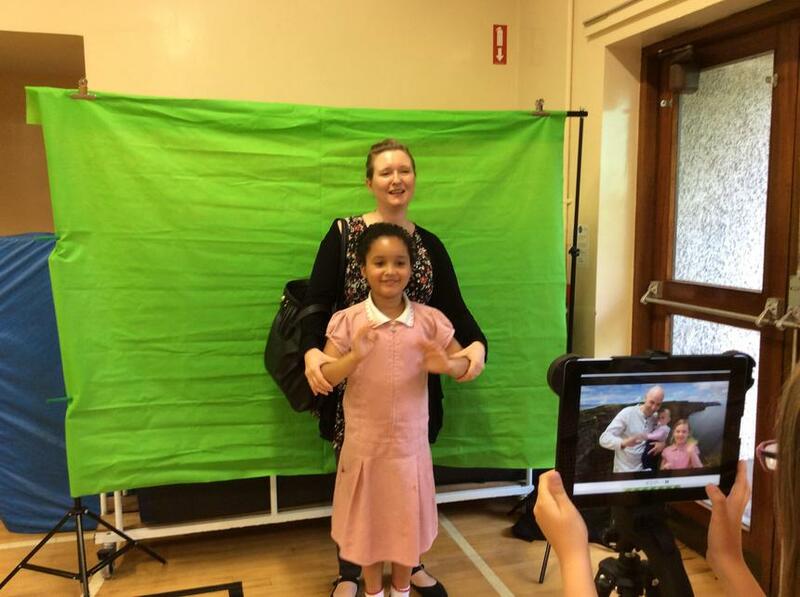 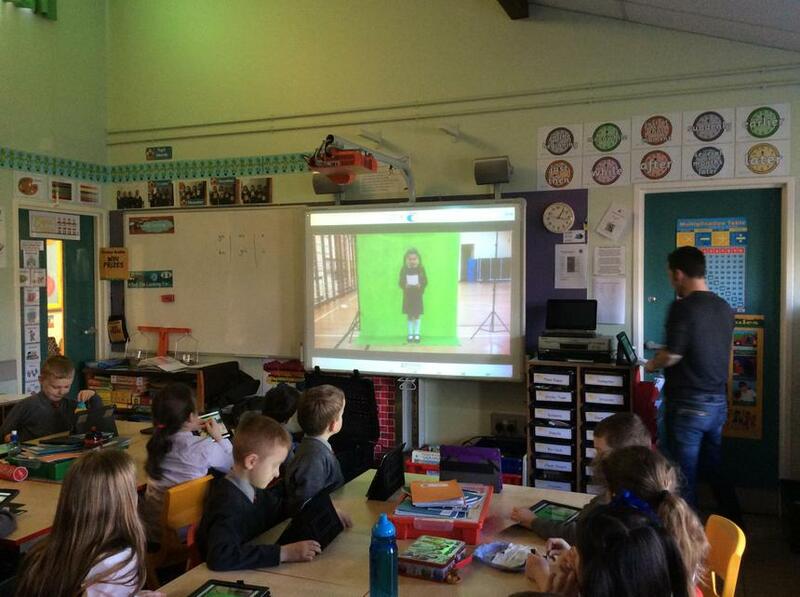 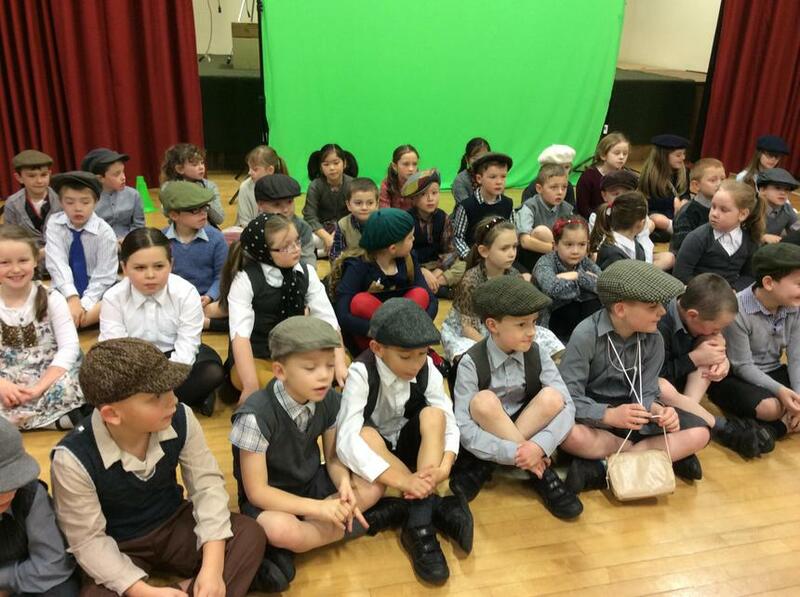 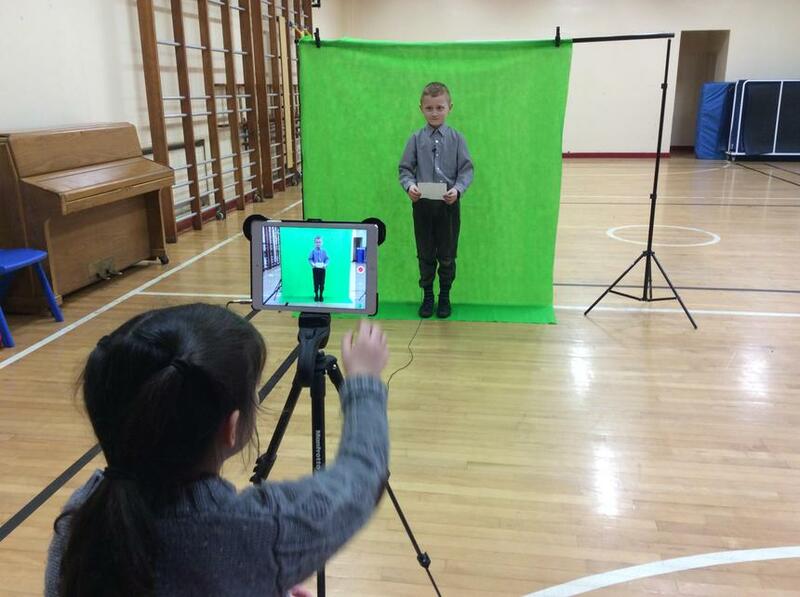 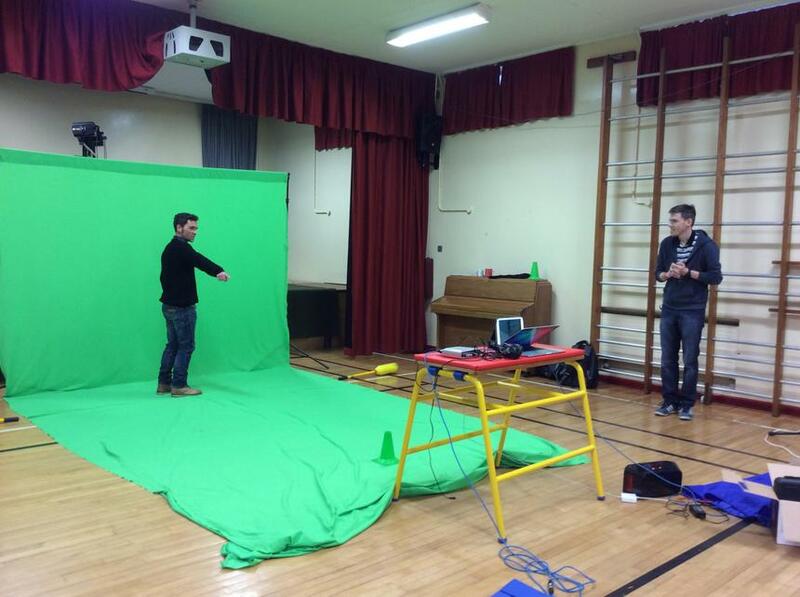 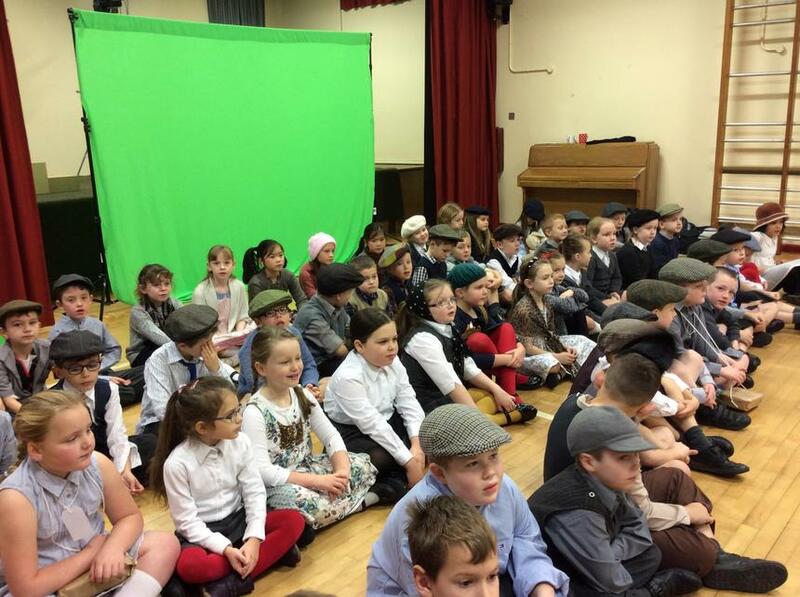 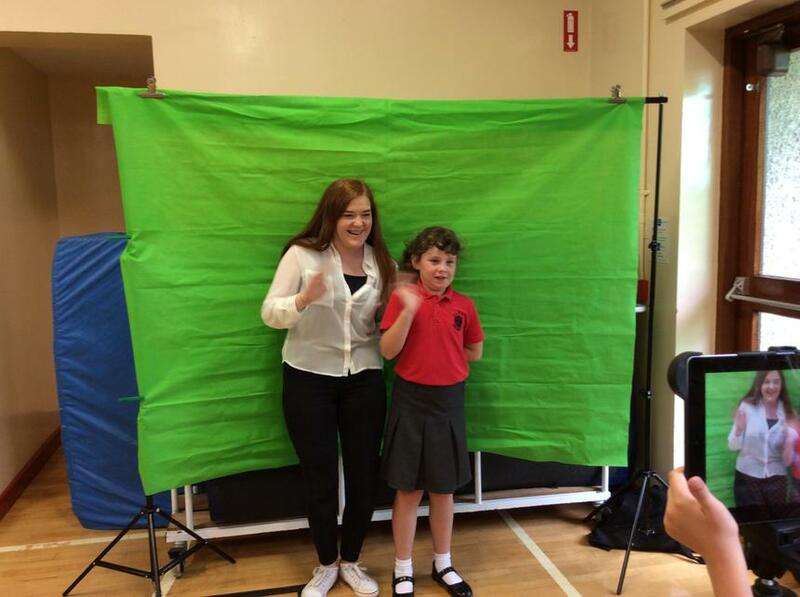 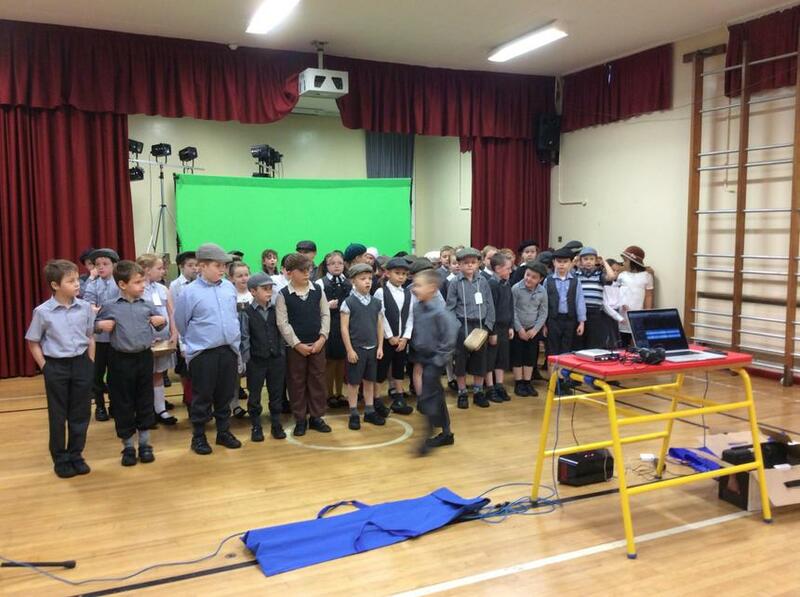 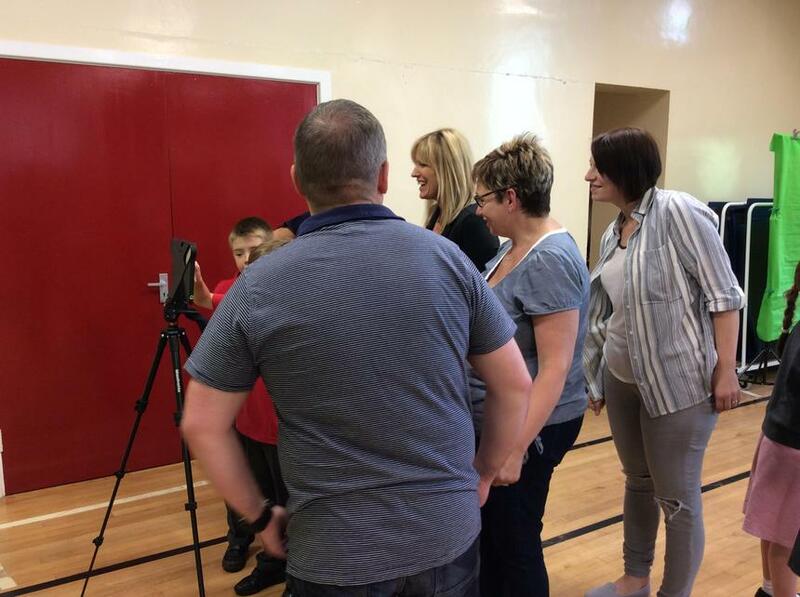 Day 2: On Monday 23rd November the Amma Centre staff recorded the P4 classes sing 'Run, Rabbit, Run' and then used the Green Screen app to record them perform actions to the well known war song. 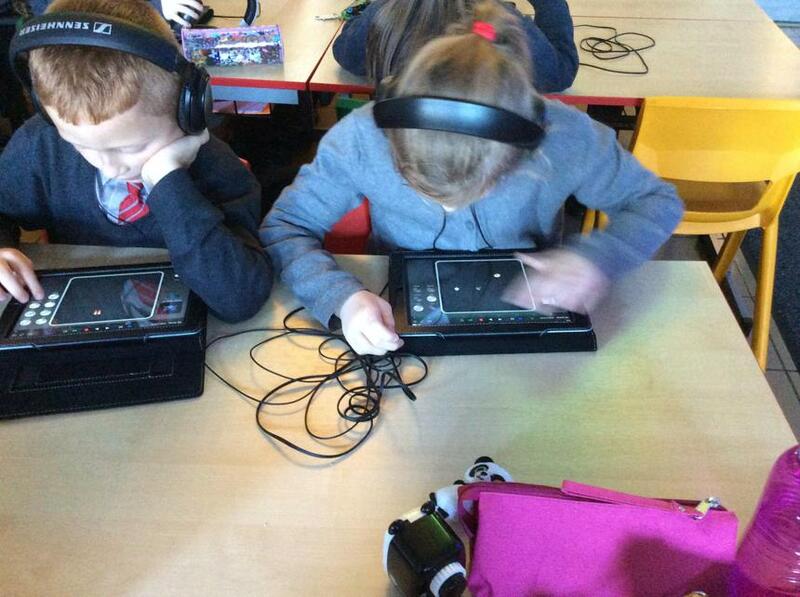 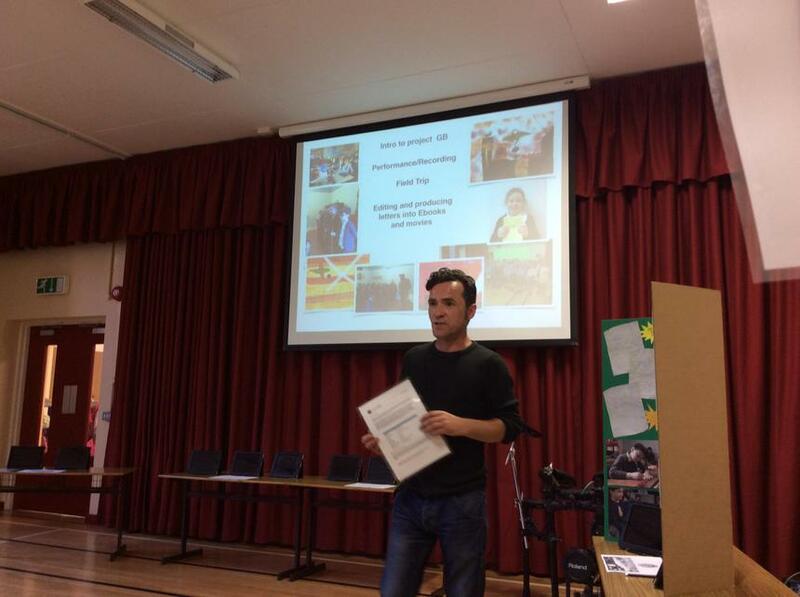 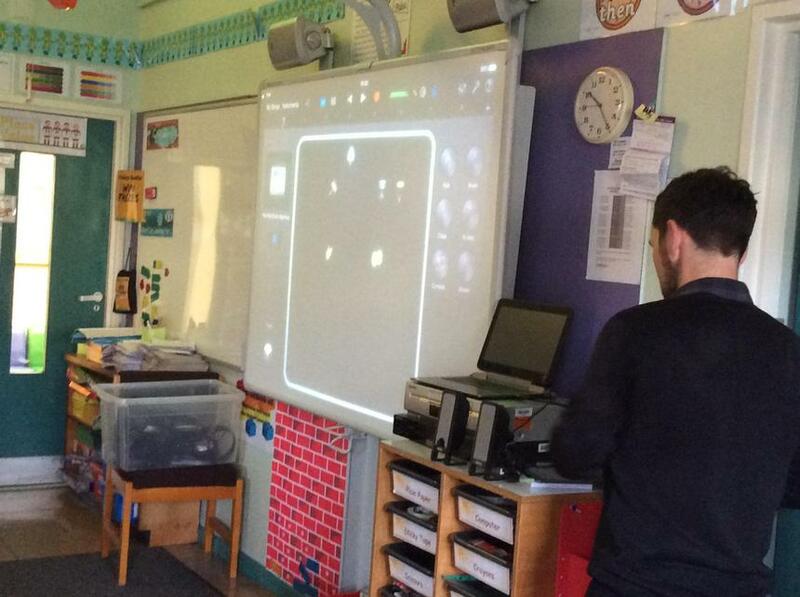 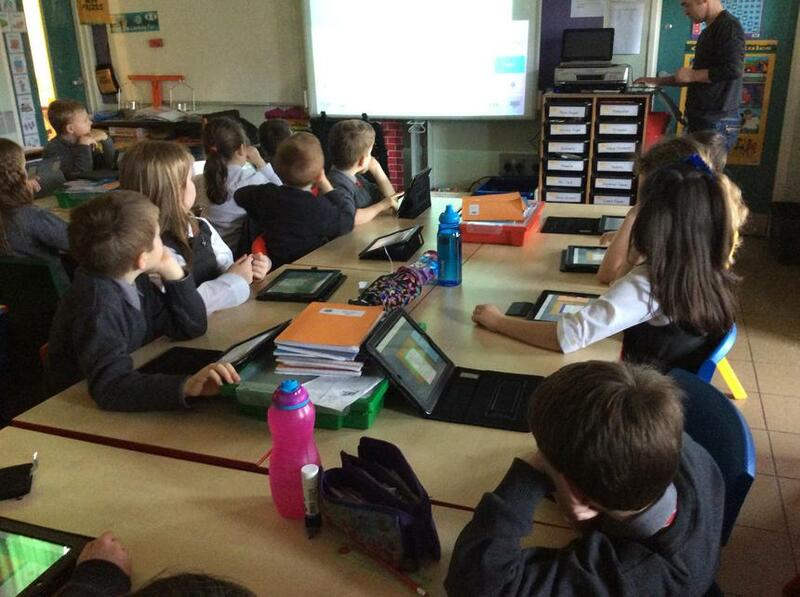 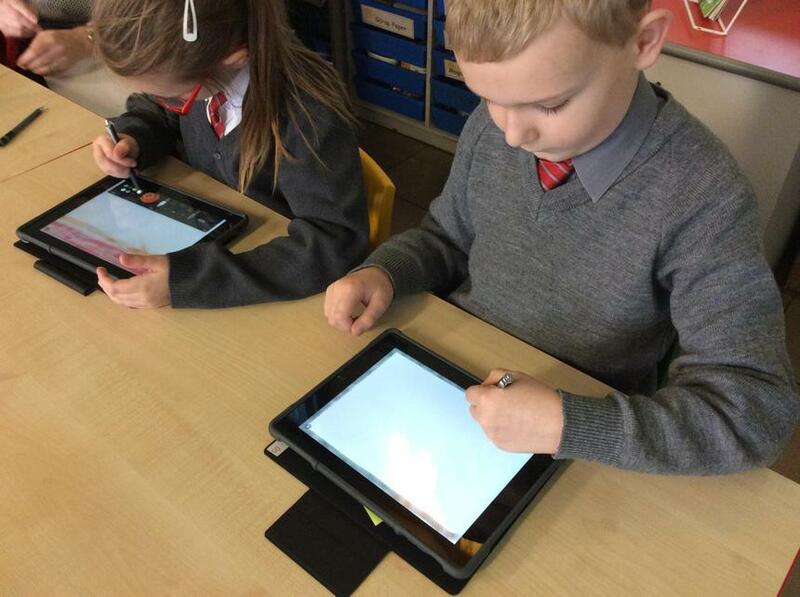 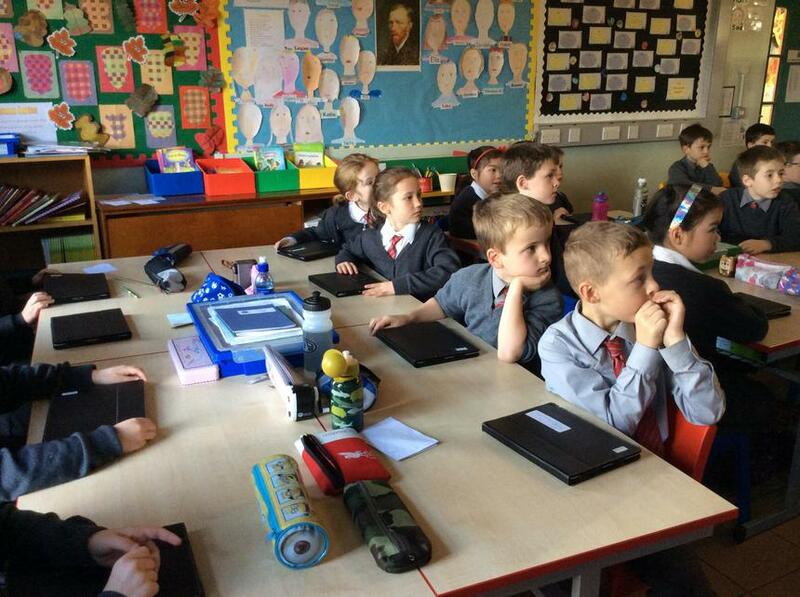 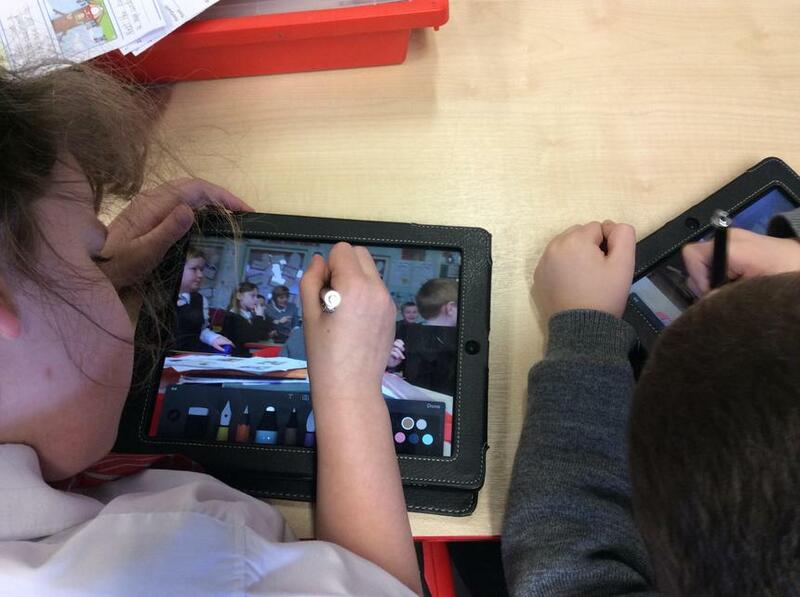 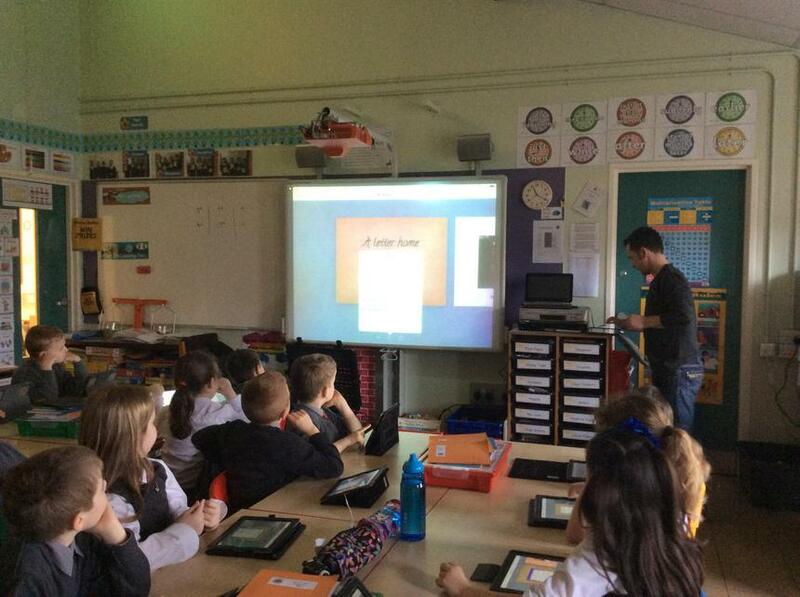 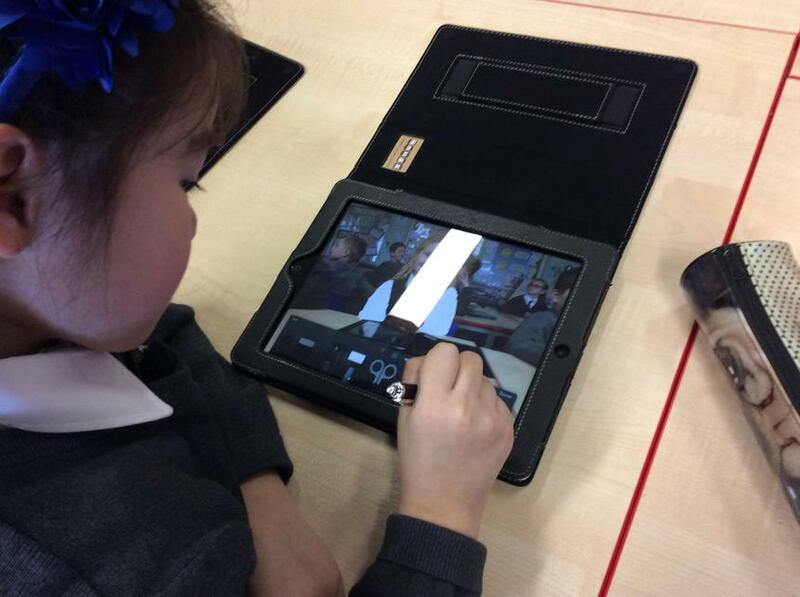 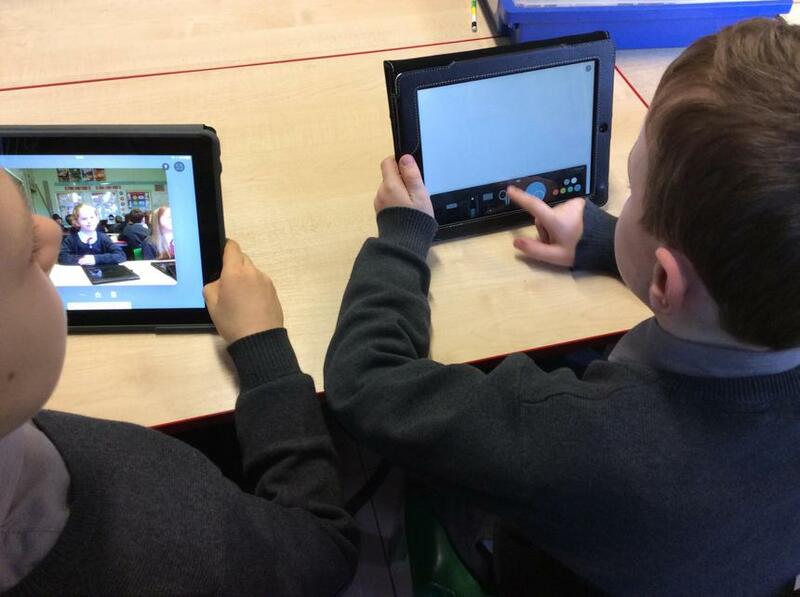 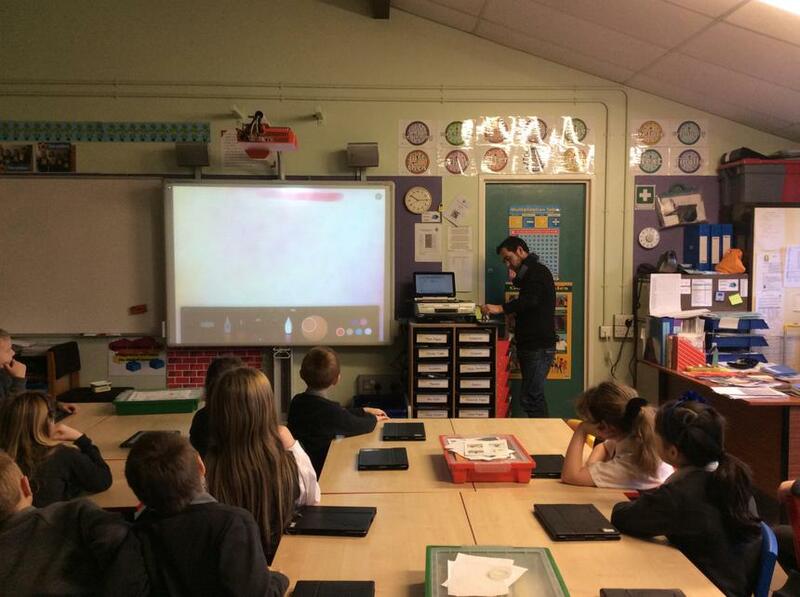 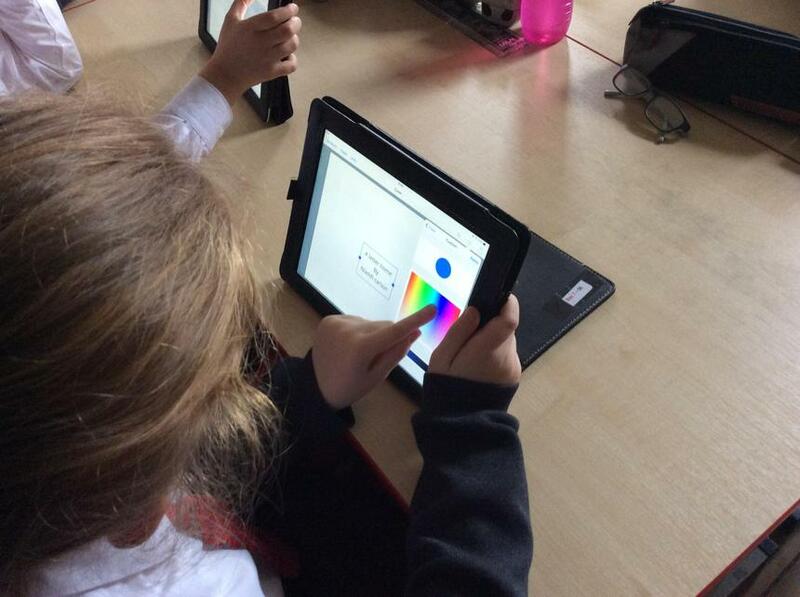 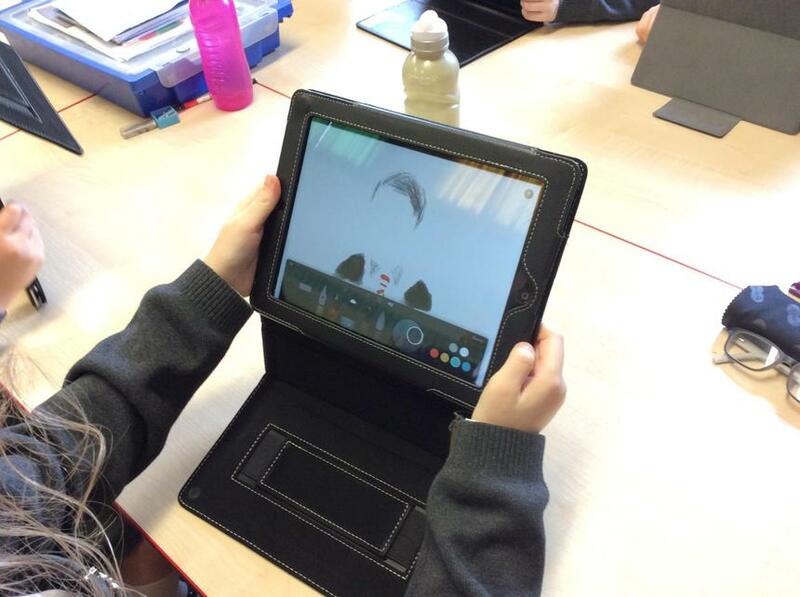 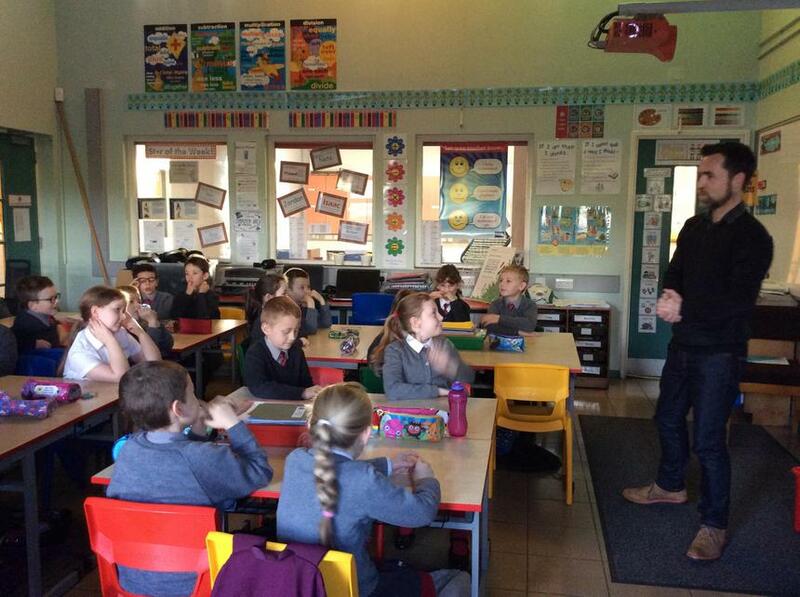 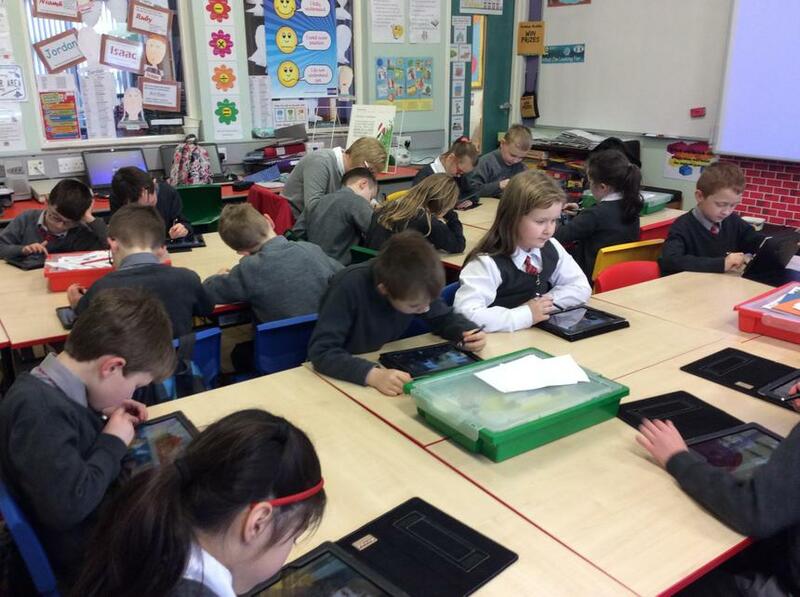 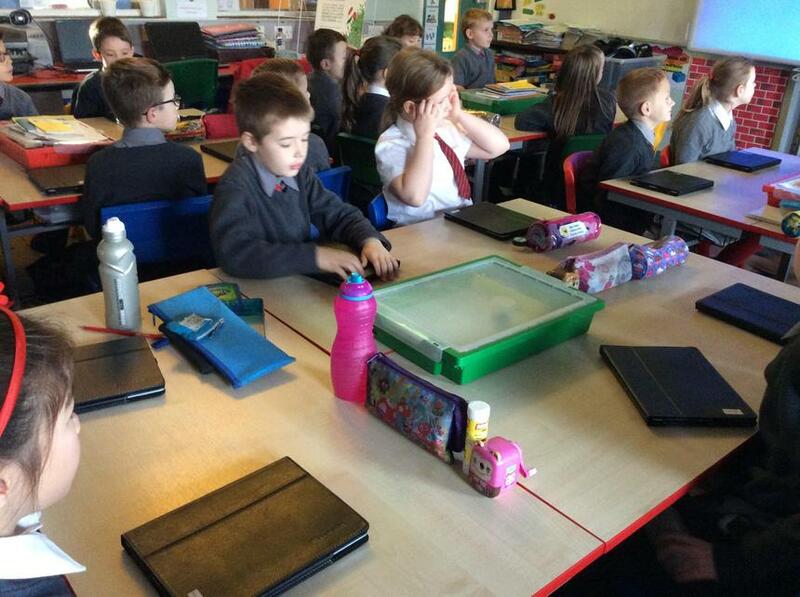 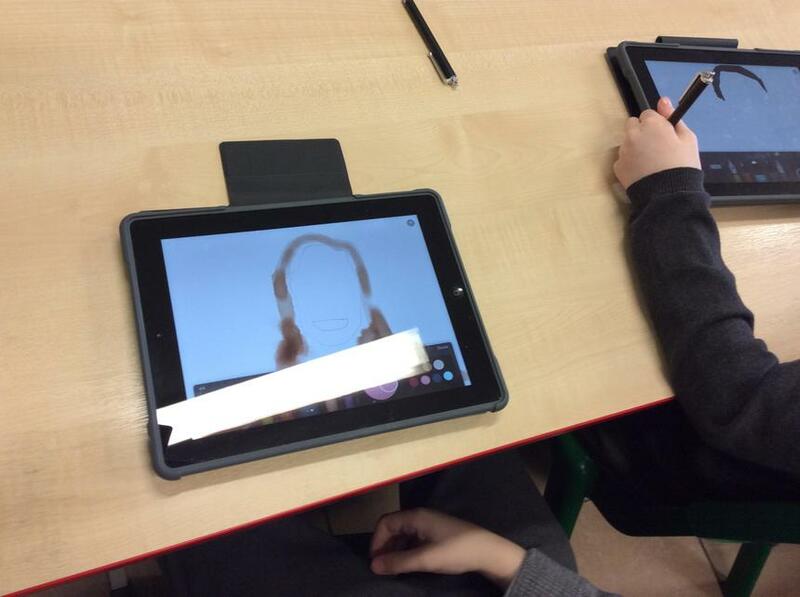 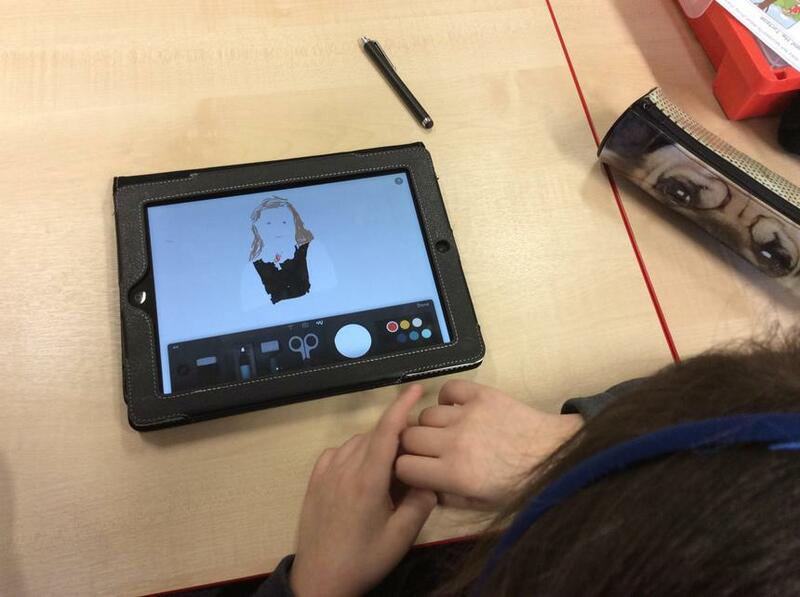 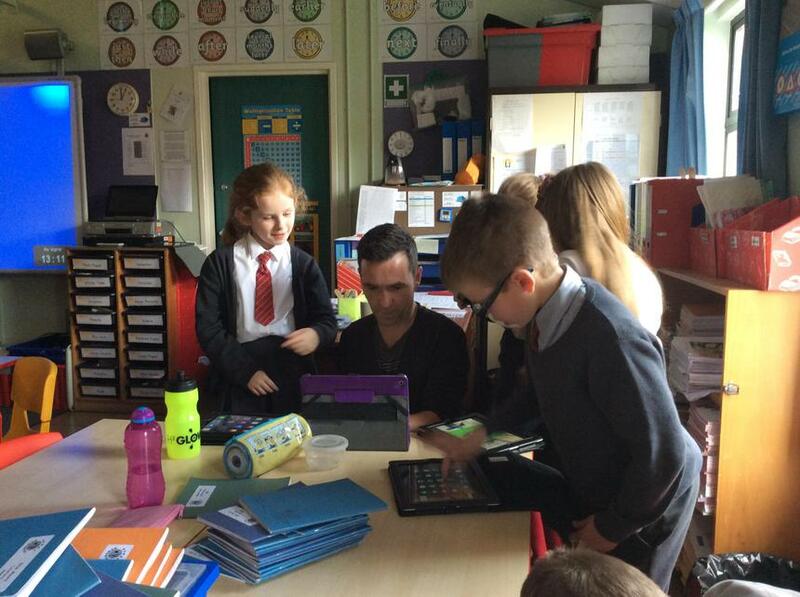 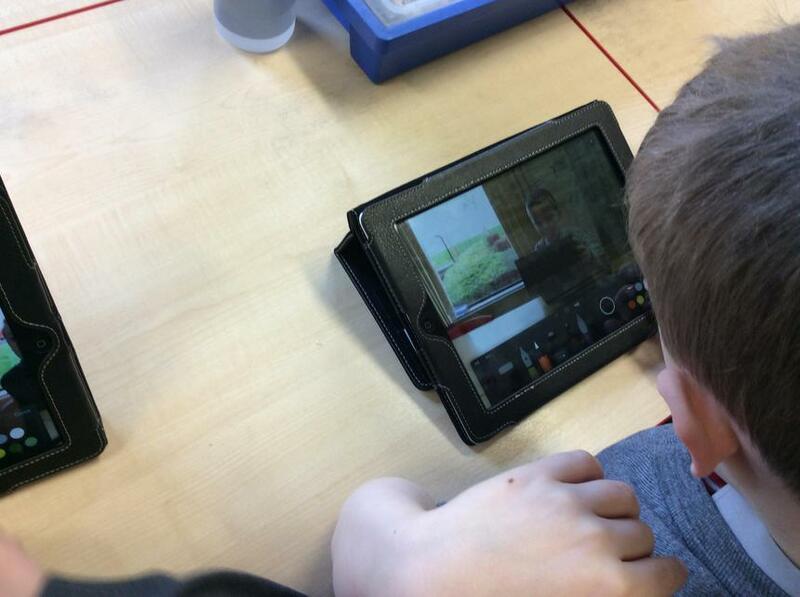 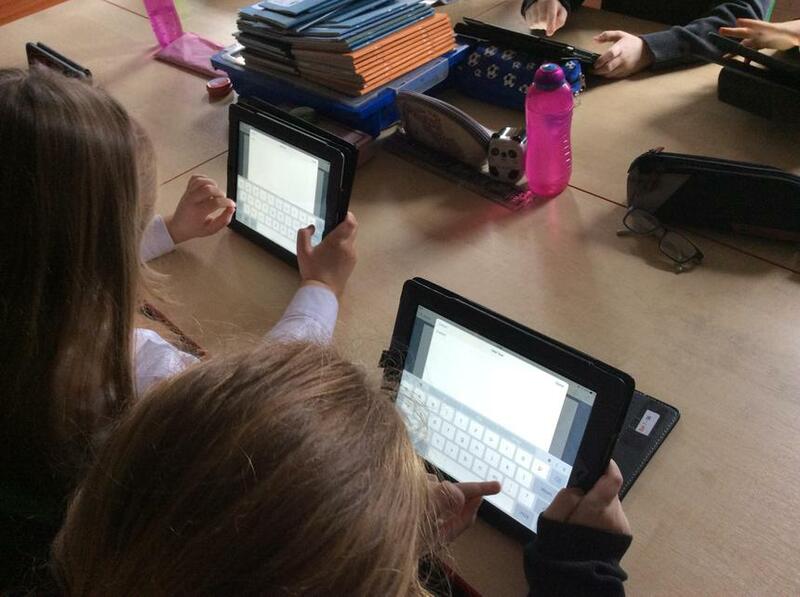 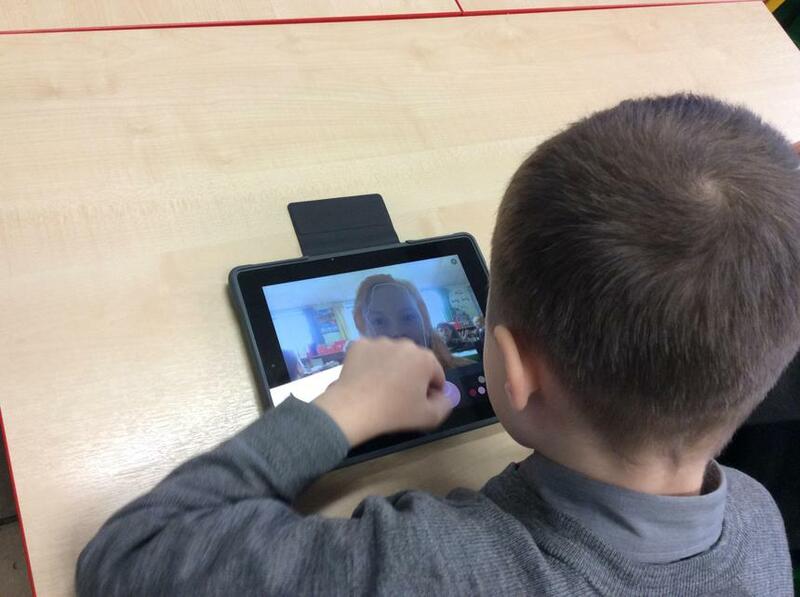 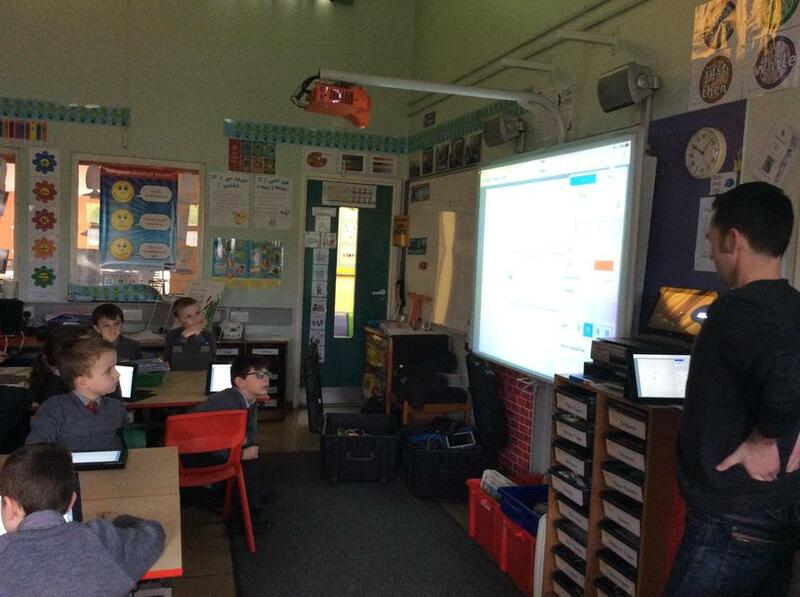 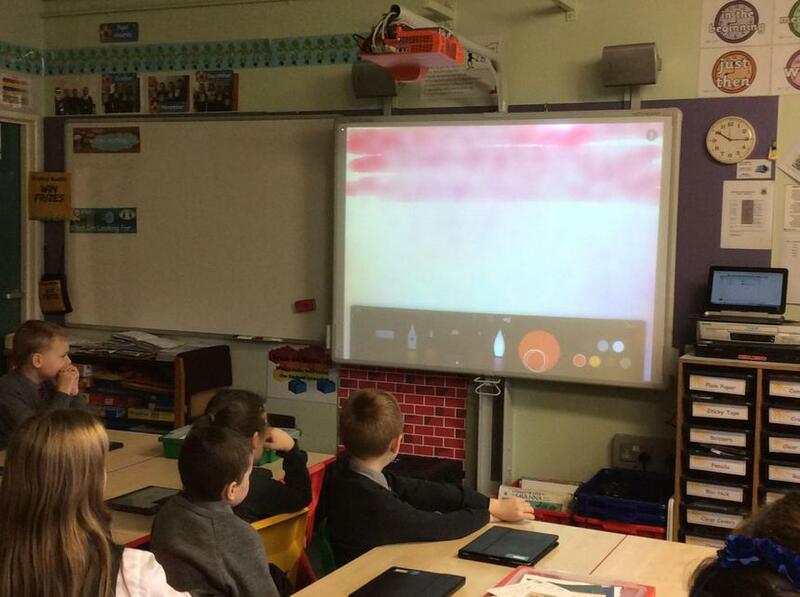 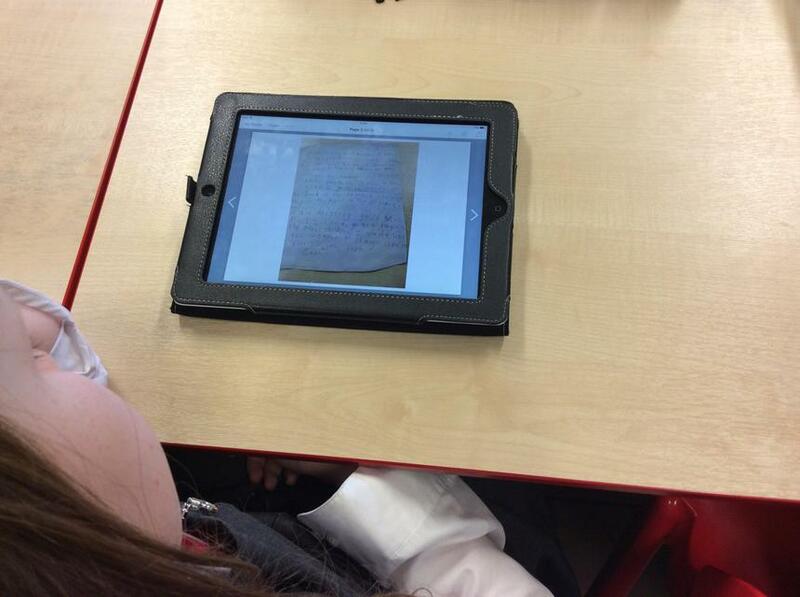 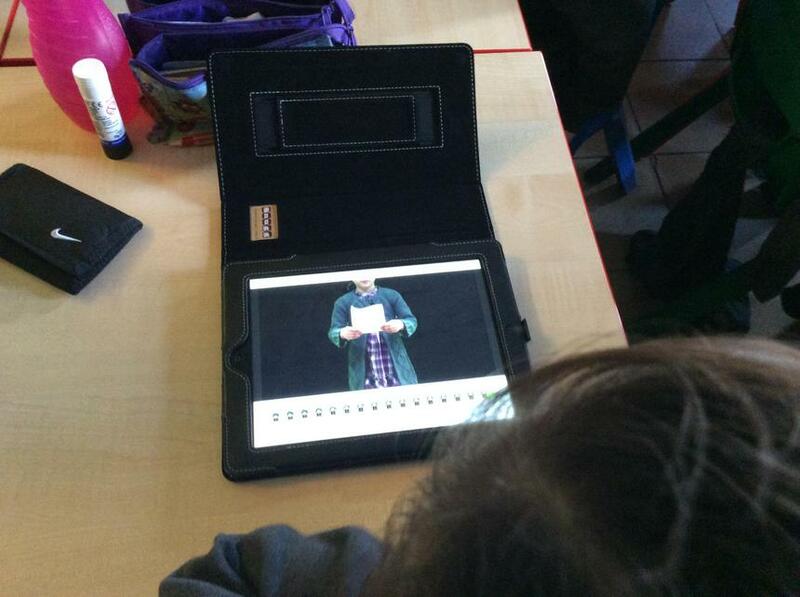 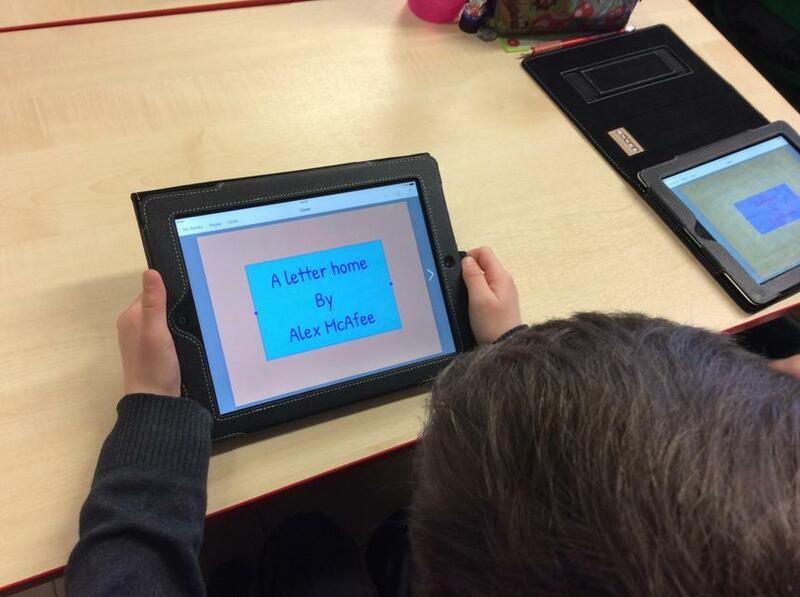 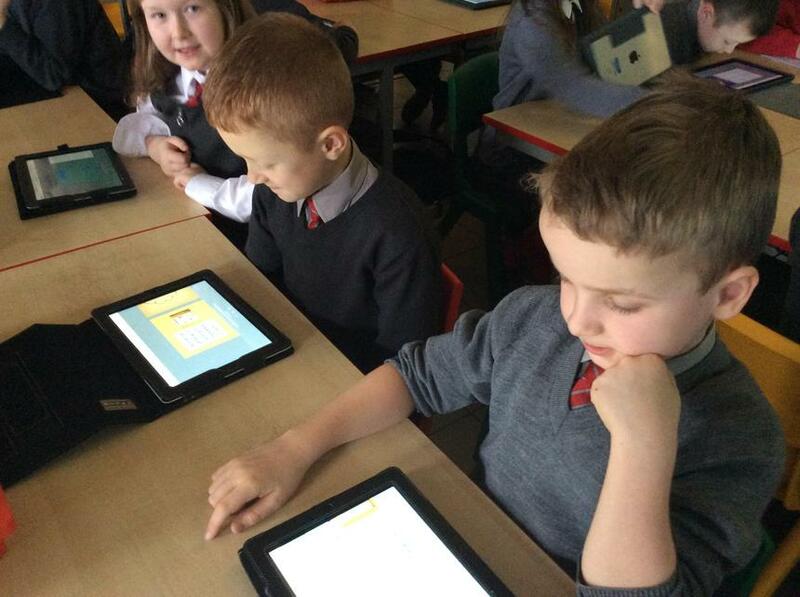 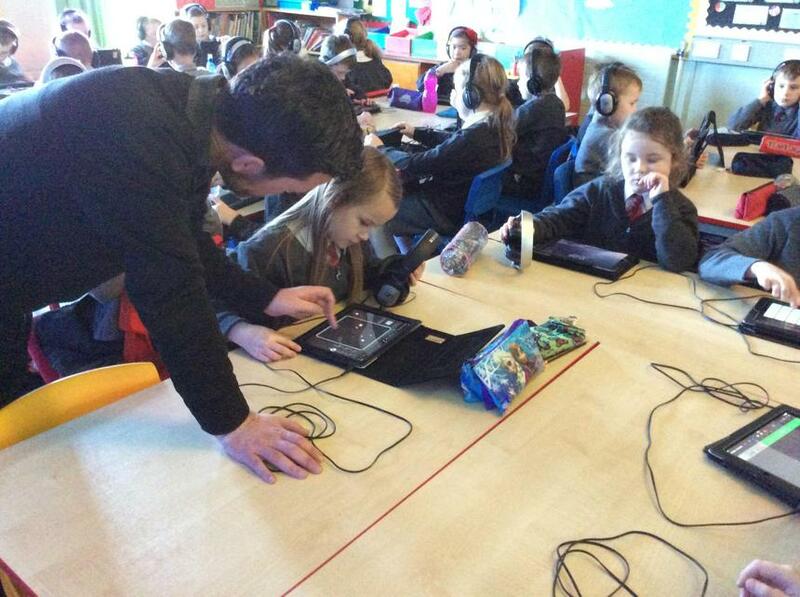 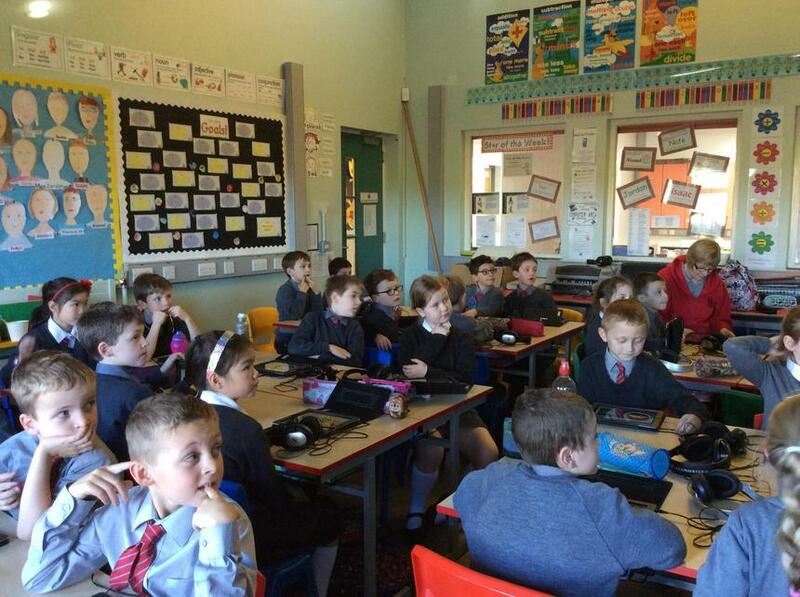 Day 3: On Thursday 28th January P4M worked with the Amma Centre using the ipads. 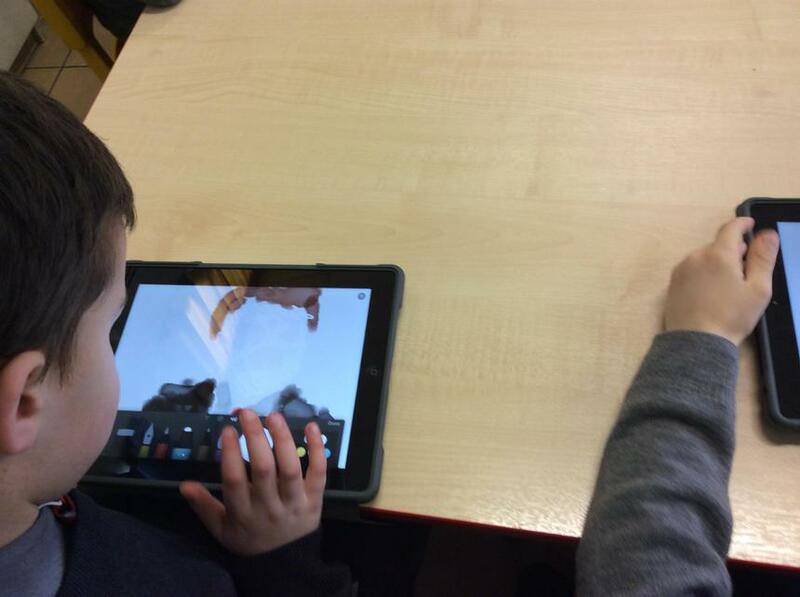 A fun day was had by all working with the app Paper by 53. 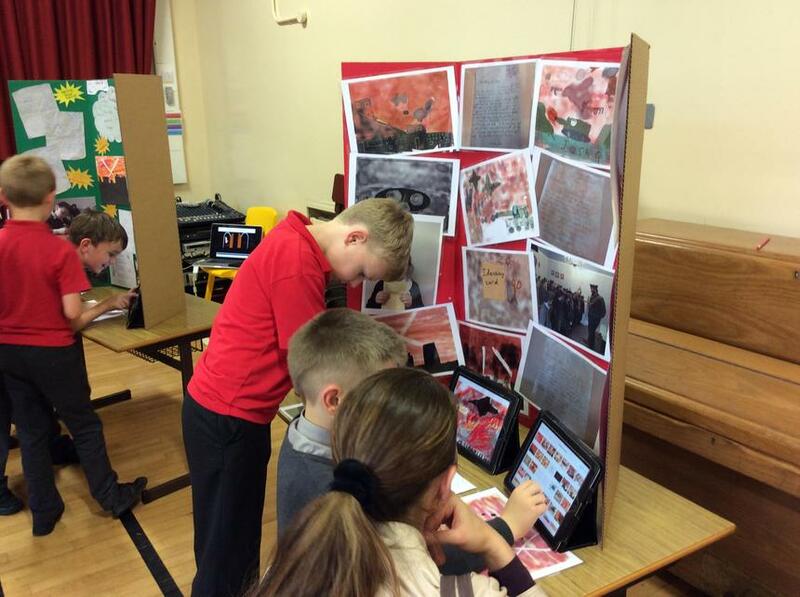 Every child worked hard using the various tools within the app and created interesting scenes reminiscent of World War II. 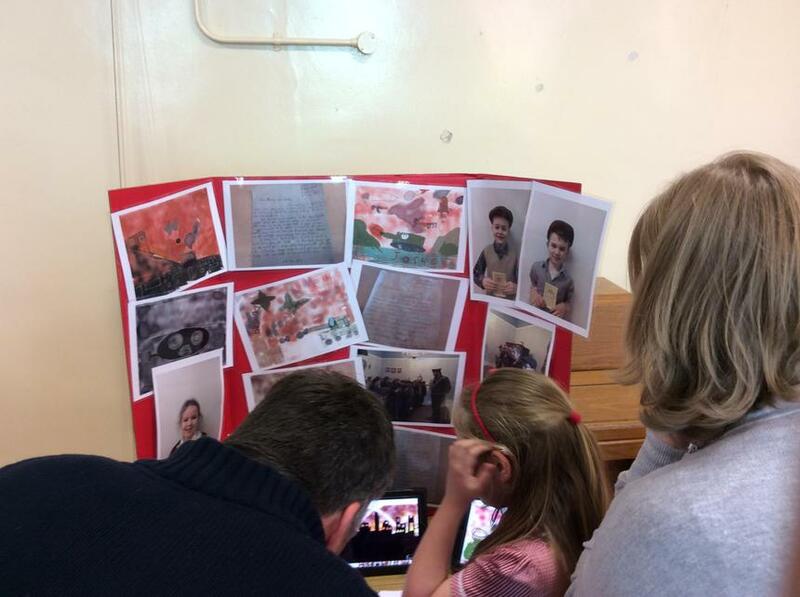 Some of the finished results. 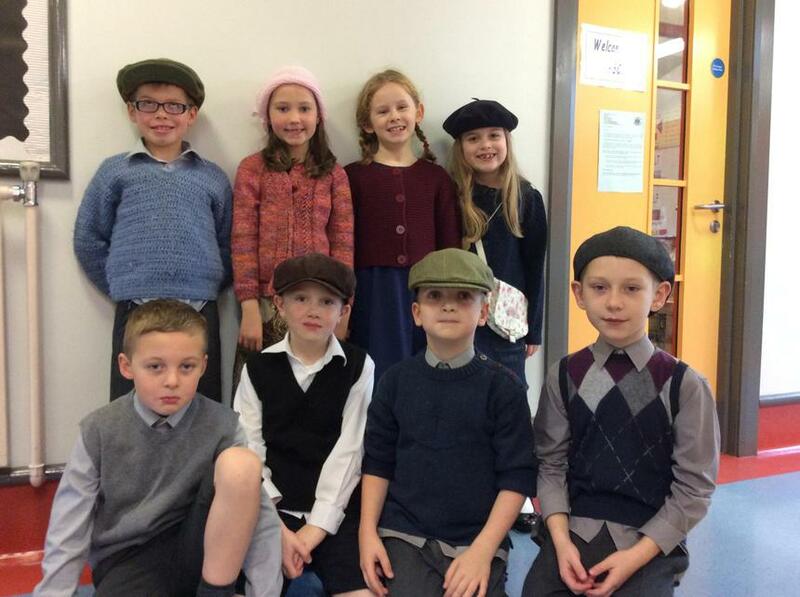 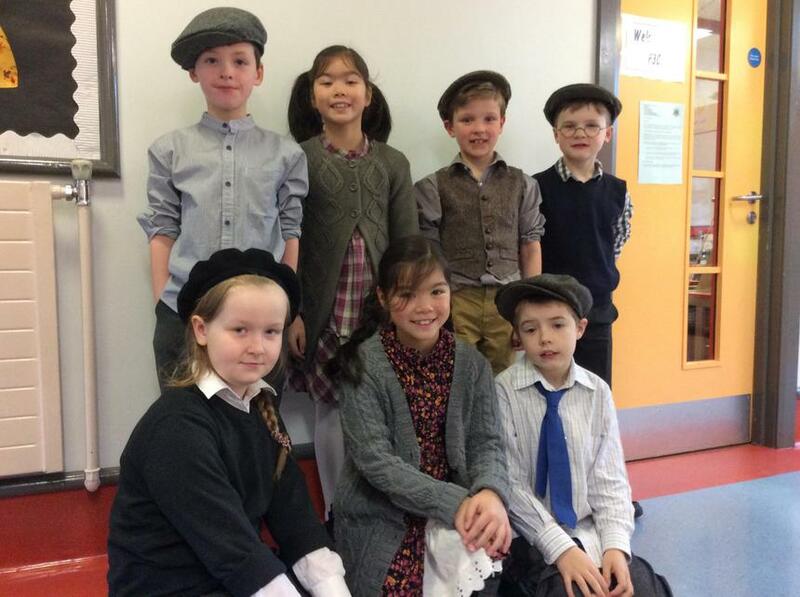 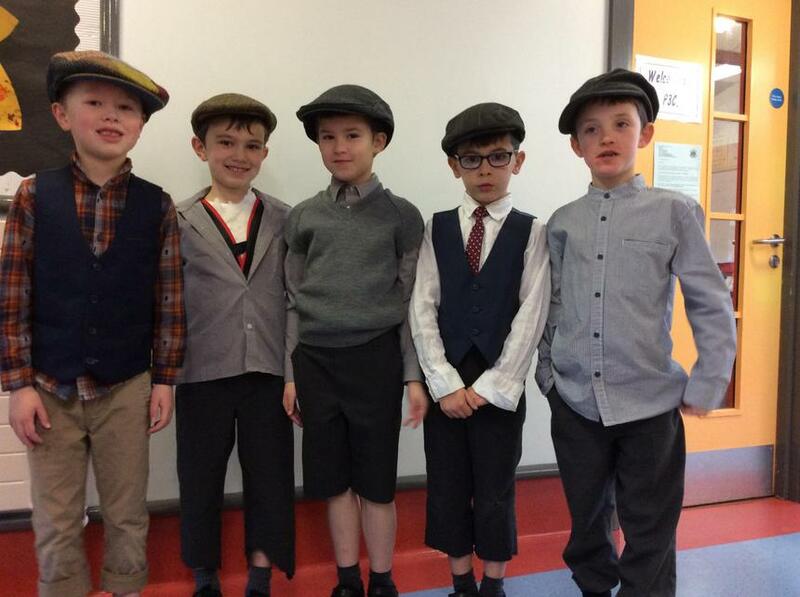 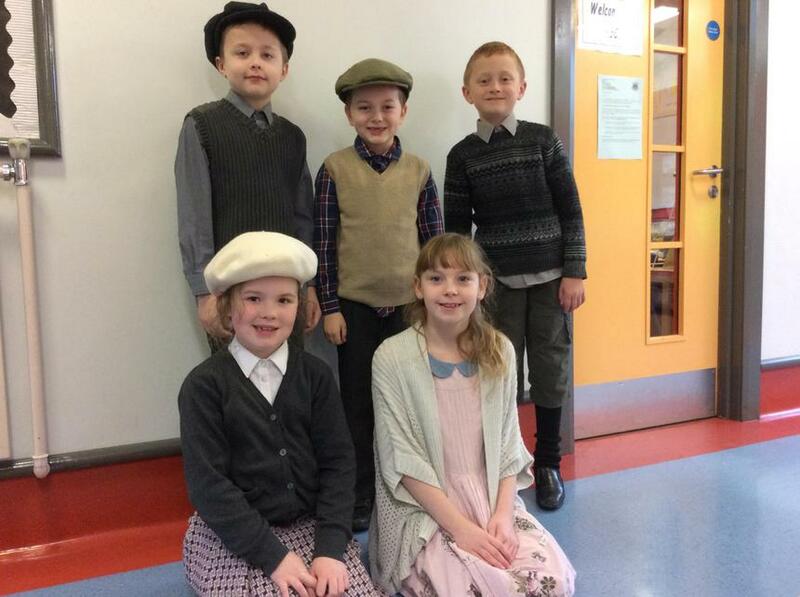 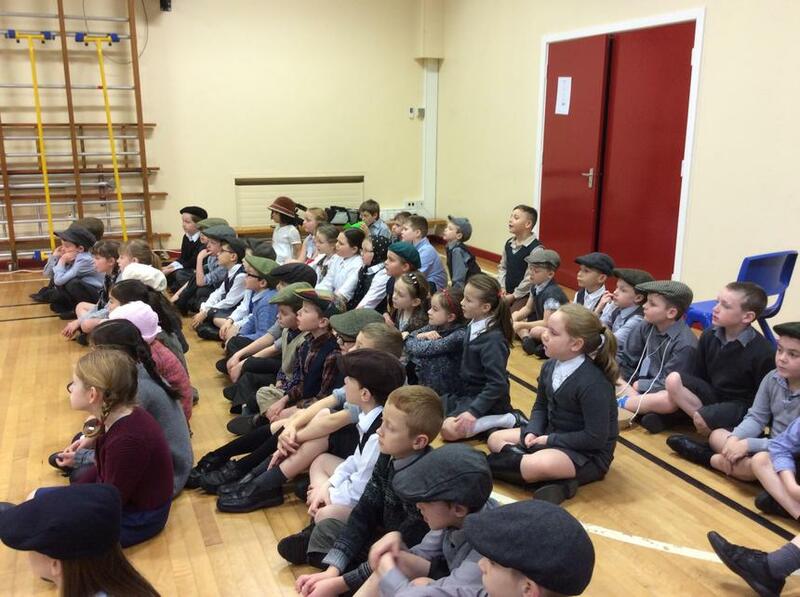 Day 4: We had another great day on Thursday 4th February dressing up and getting individually recorded speaking our World War 2 evacuee letters. 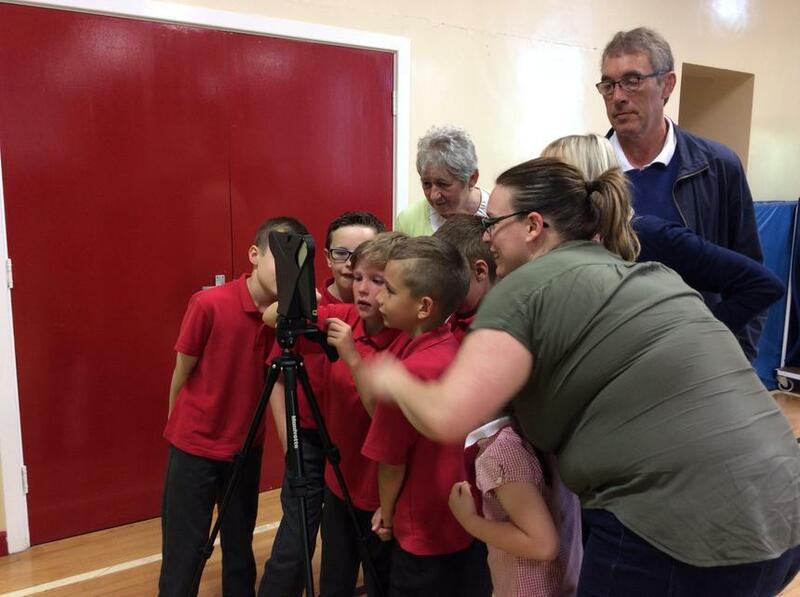 Some of us took on the recording role and were able to time friends into the recording and press the record button at the end of the recording. 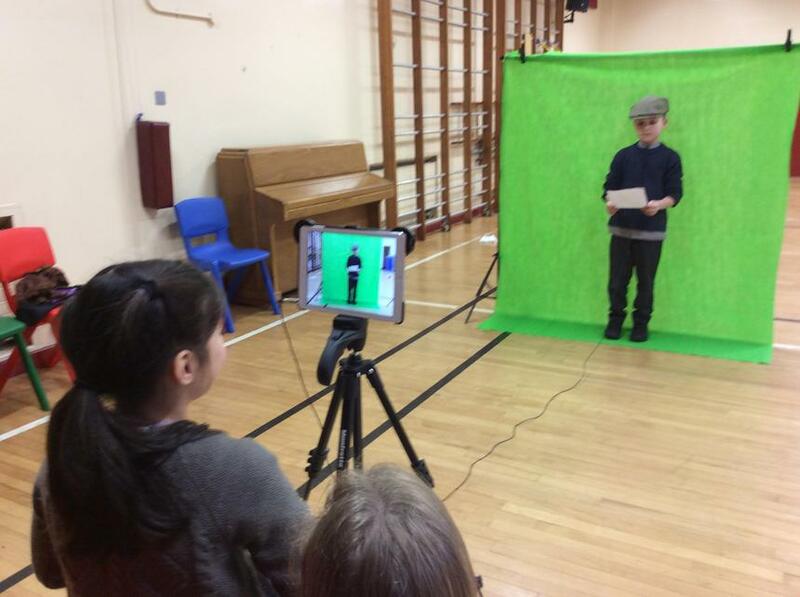 Super opportunities for all to develop new skills. 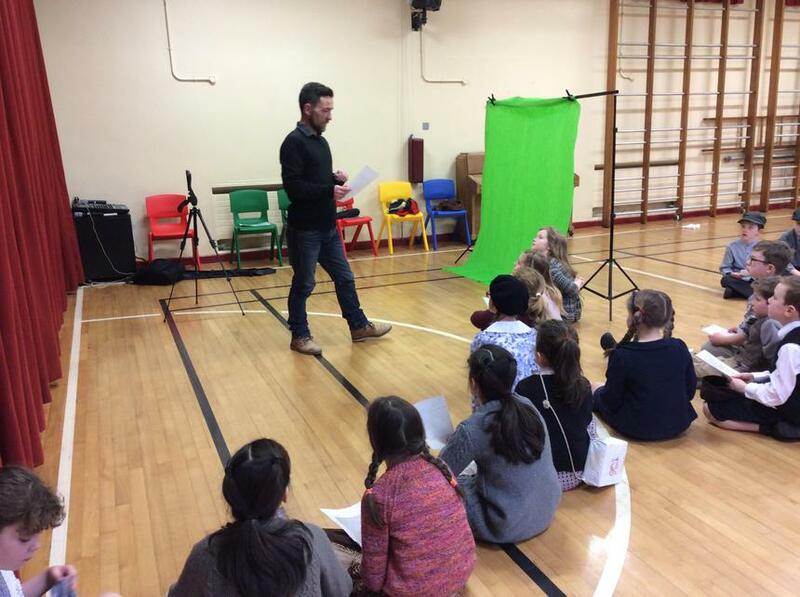 Day 5: Another busy but very creative day. 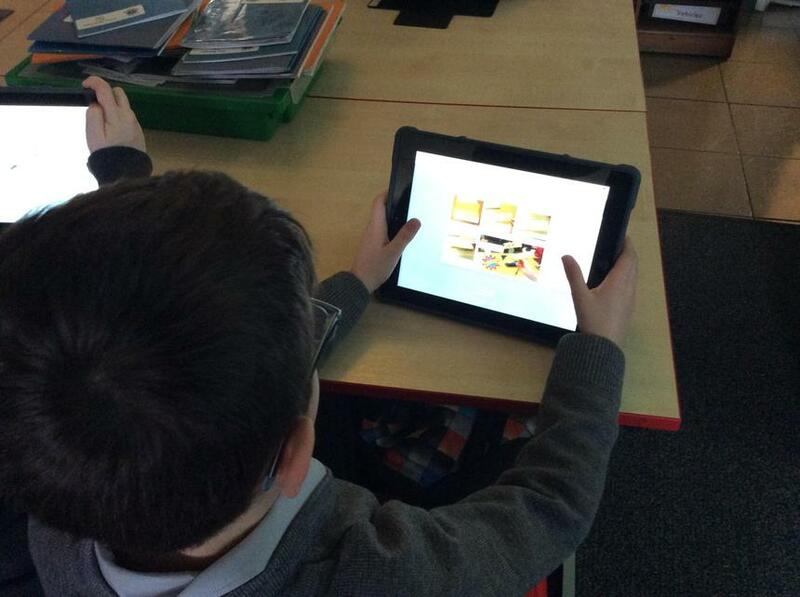 All of the children started to use Book Creator to compile their work together. 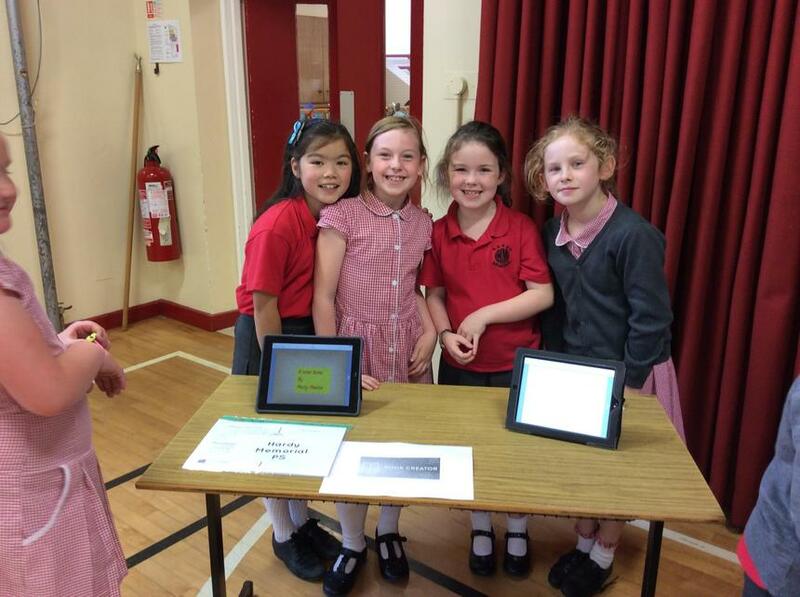 They created the cover page with a suitable title, thinking about their font and size. 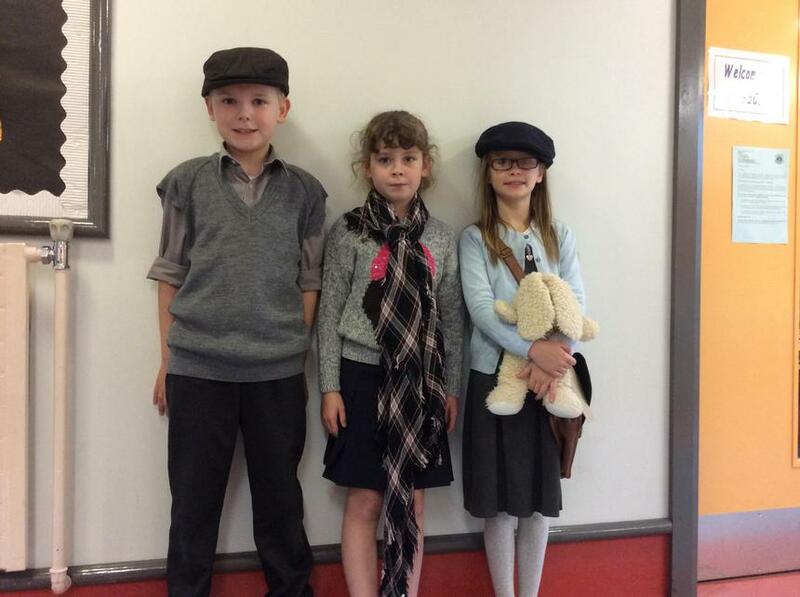 They took a photo of their evacuee letter and added it to their book. 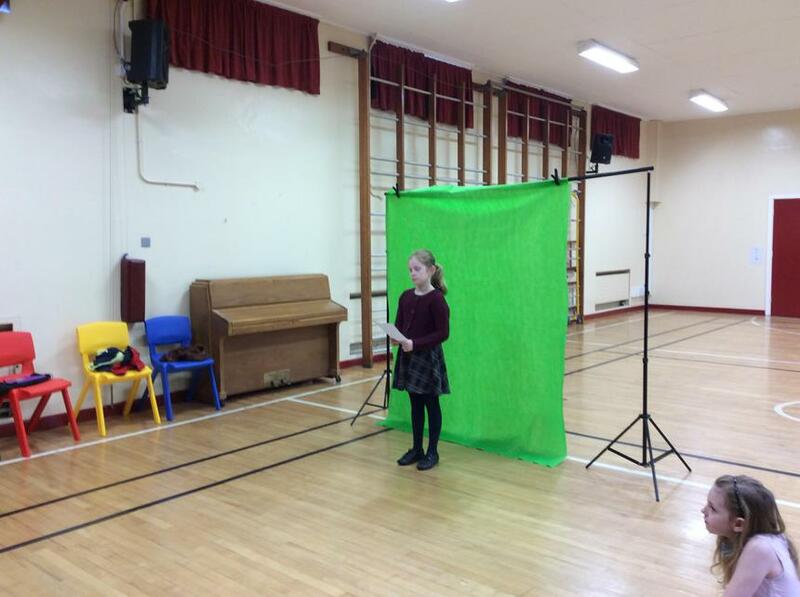 The green screen recording was edited by removing the unnecessary sound recording at the beginning and end. 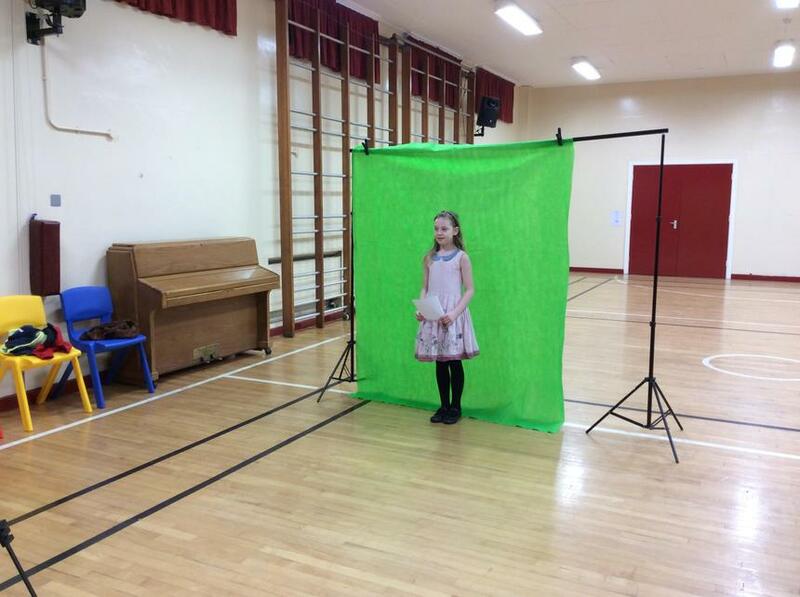 It was then edited by cropping as close to the green background and removing the green colour. 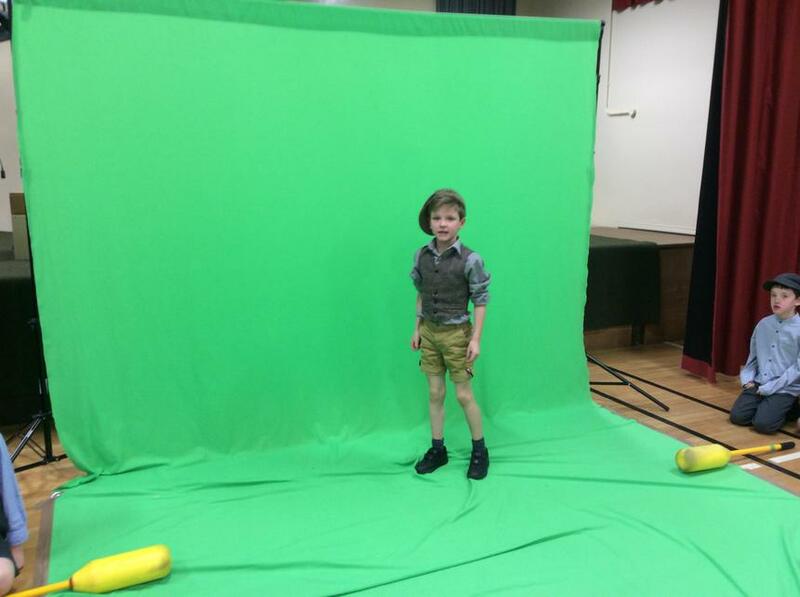 The image was resized and located in suitable position. 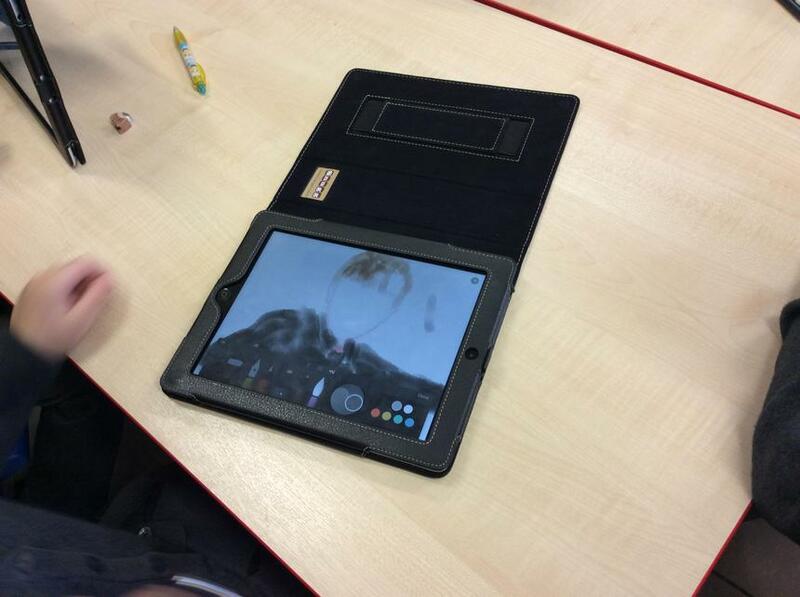 Each child then used the image they created in Paper by 53 as the background for their recording. 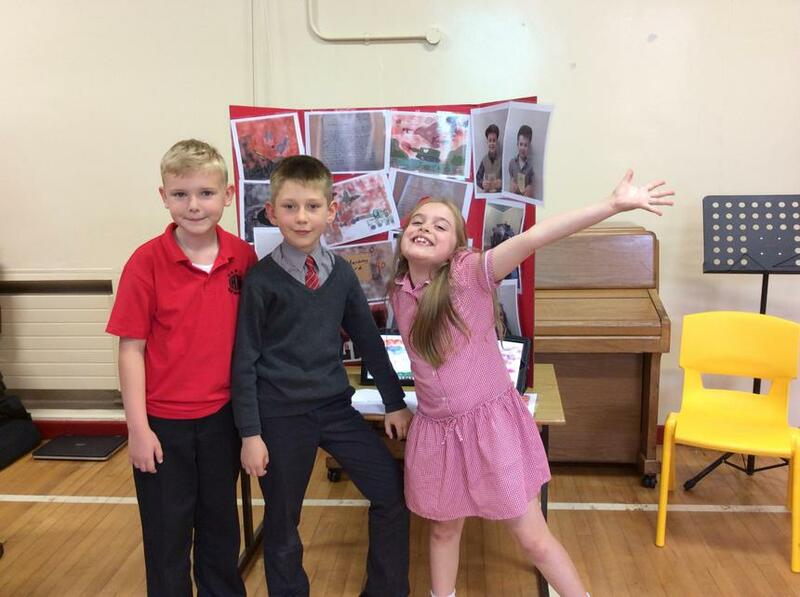 A fabulous day! 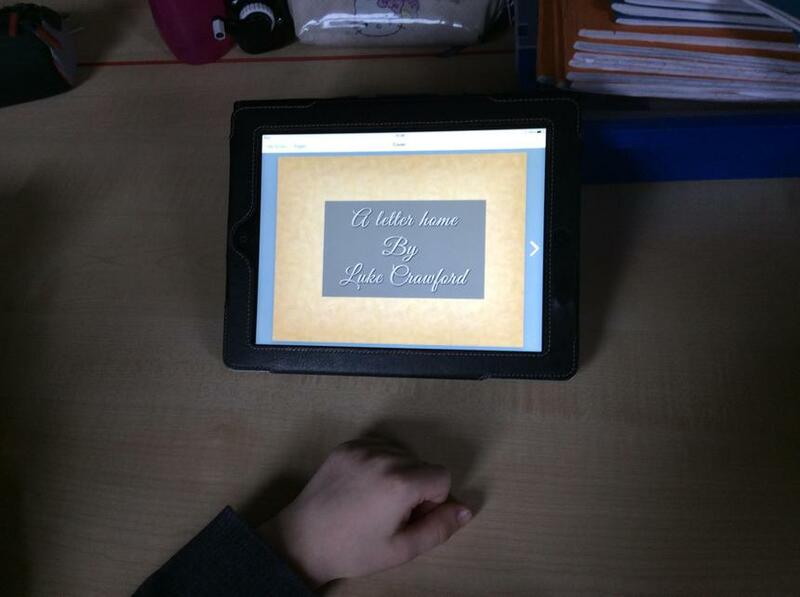 Day 6: All children worked incredibly hard finalising their ebook. 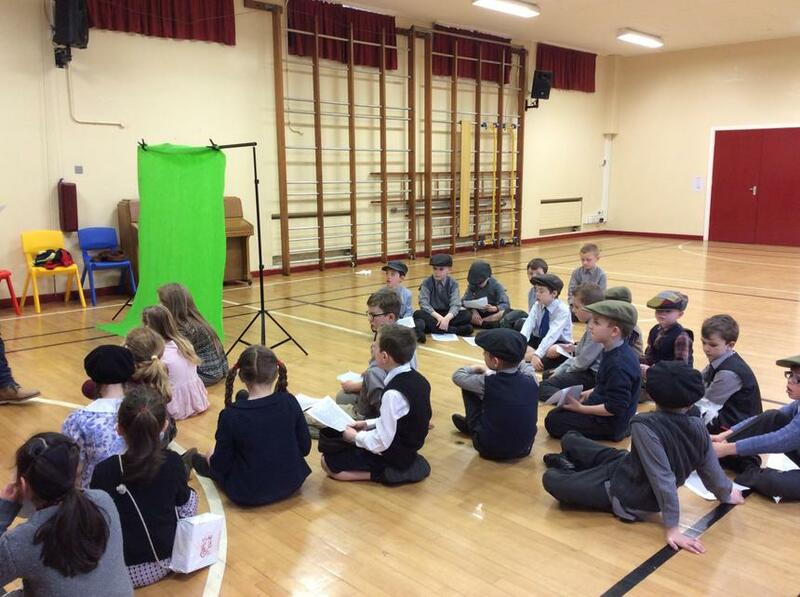 It incorporated a title page, a photograph of their evacuee letter, their green screen recording embedded onto their Paper by 53 background and a final page. 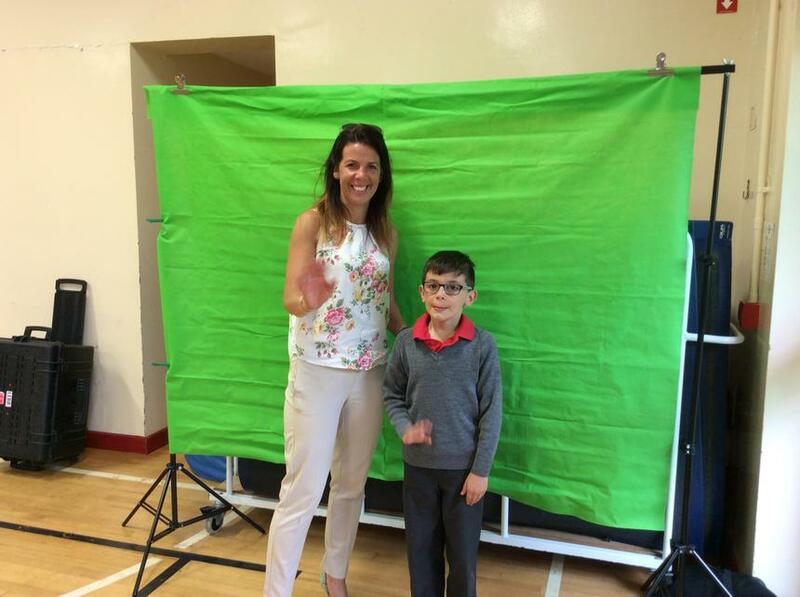 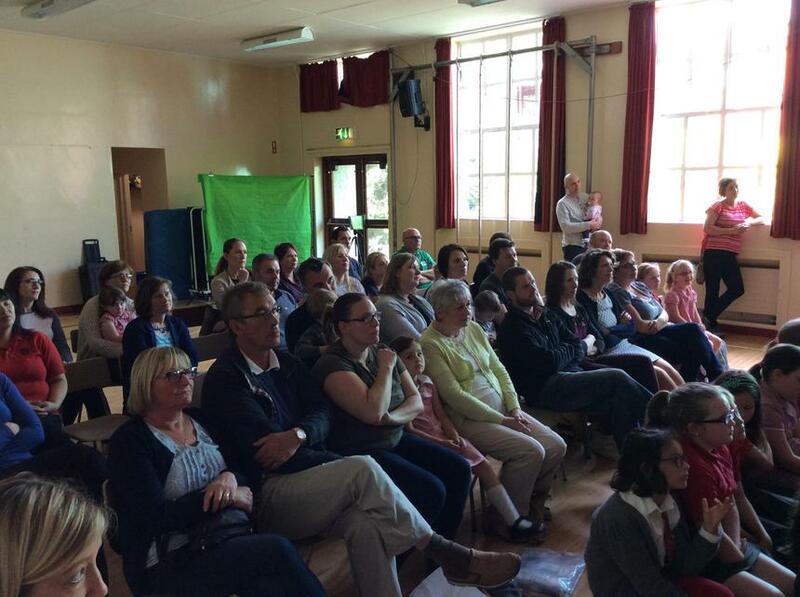 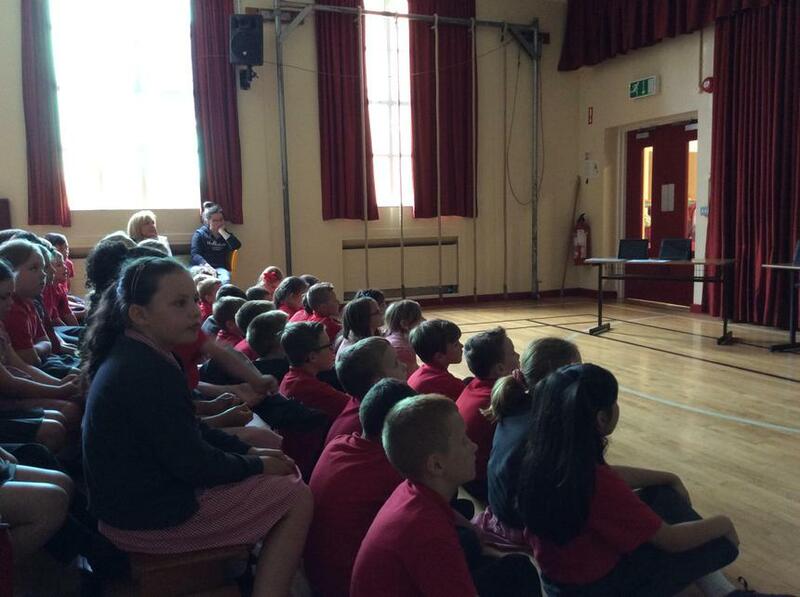 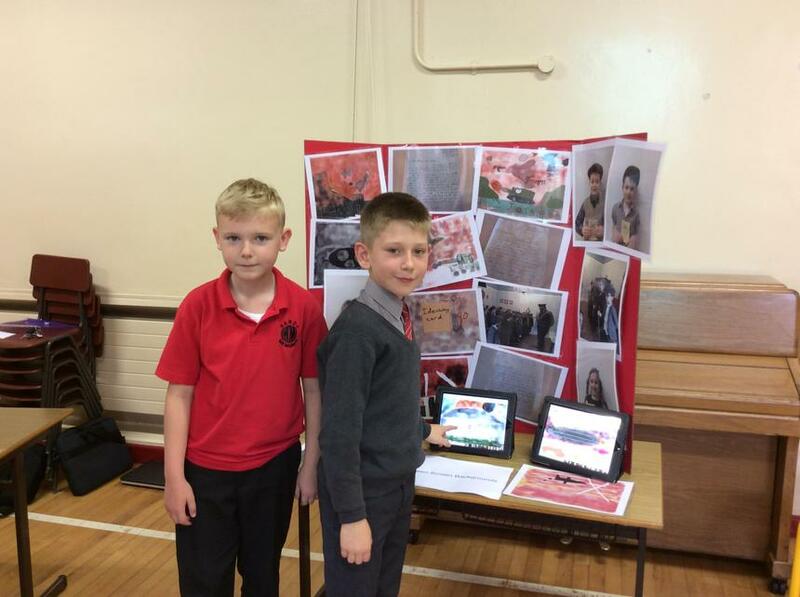 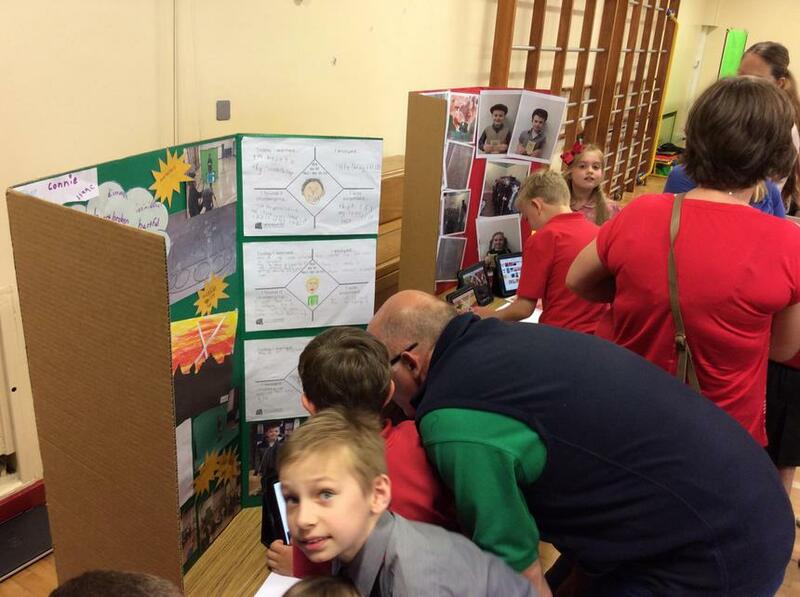 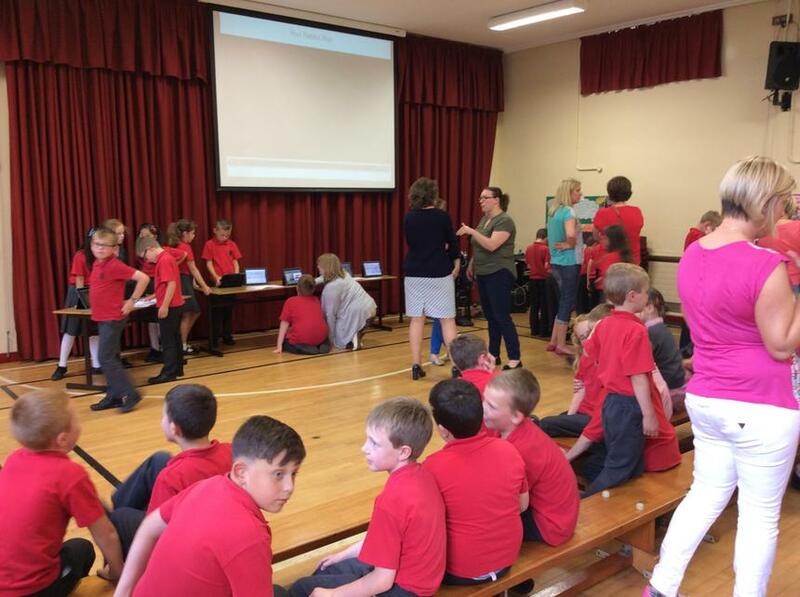 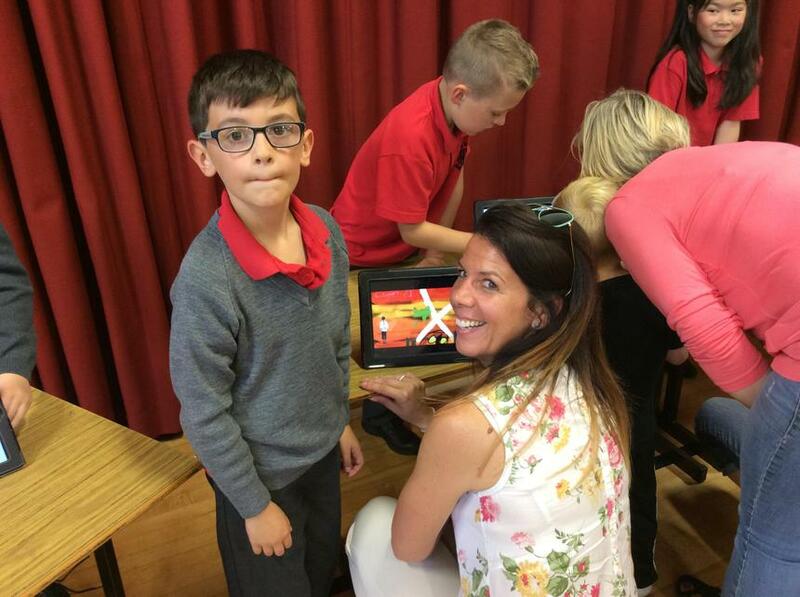 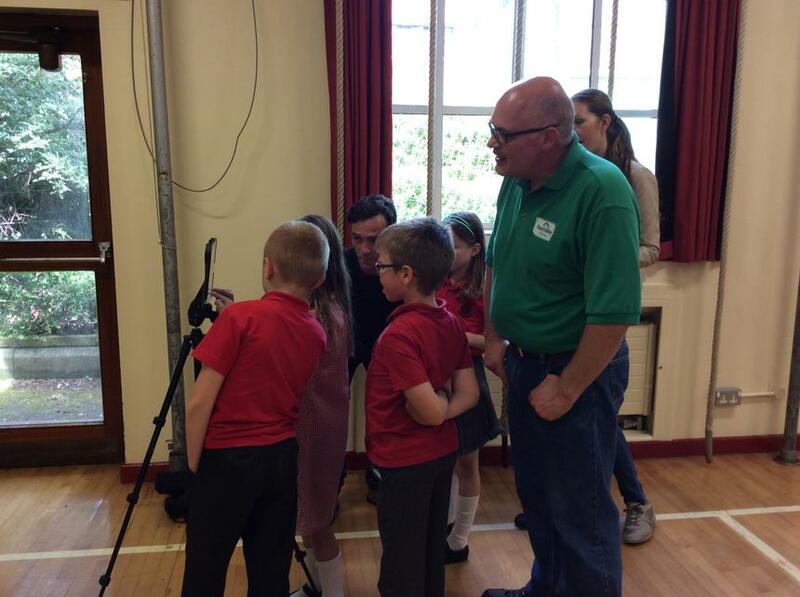 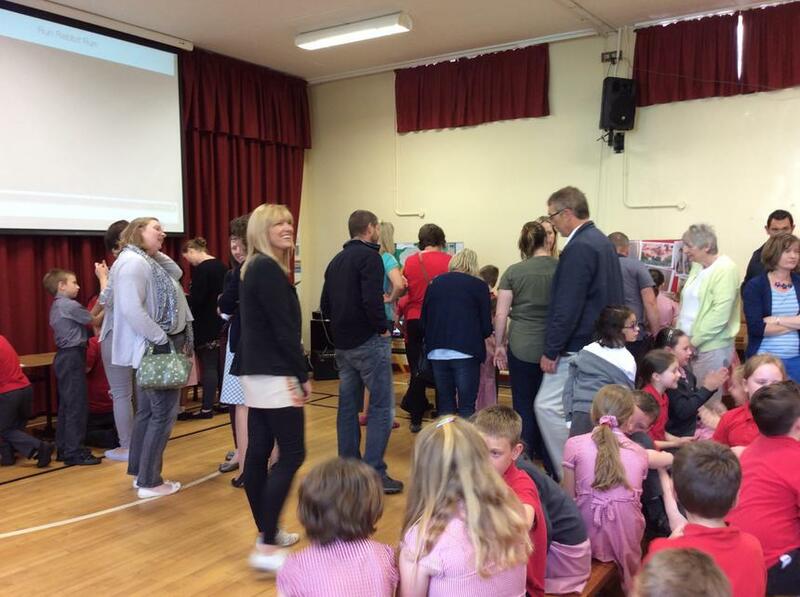 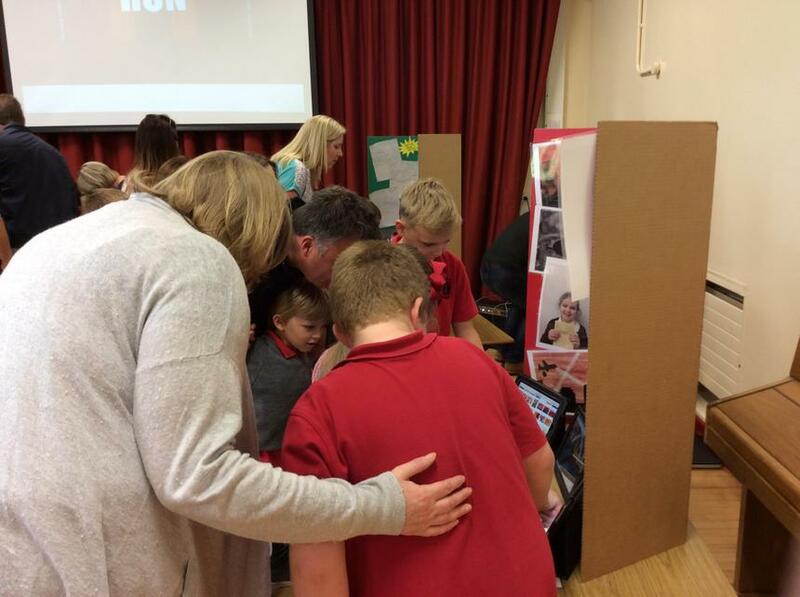 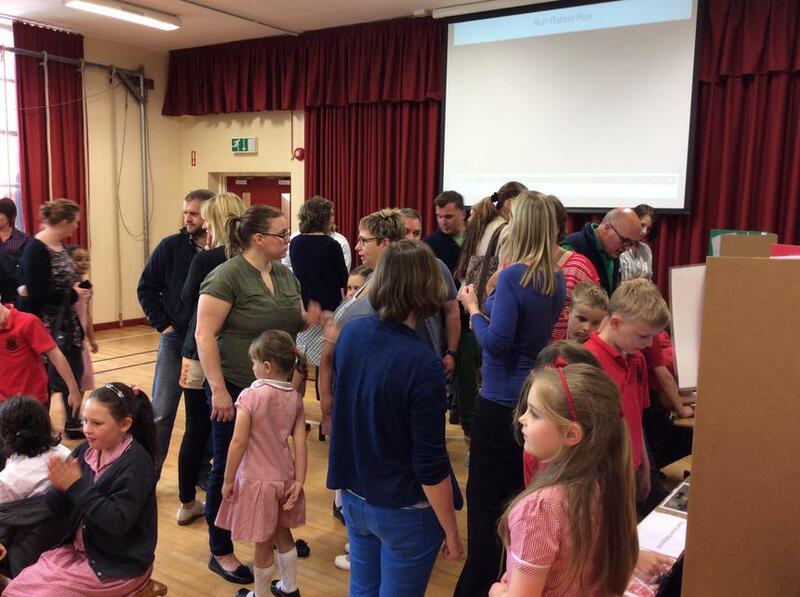 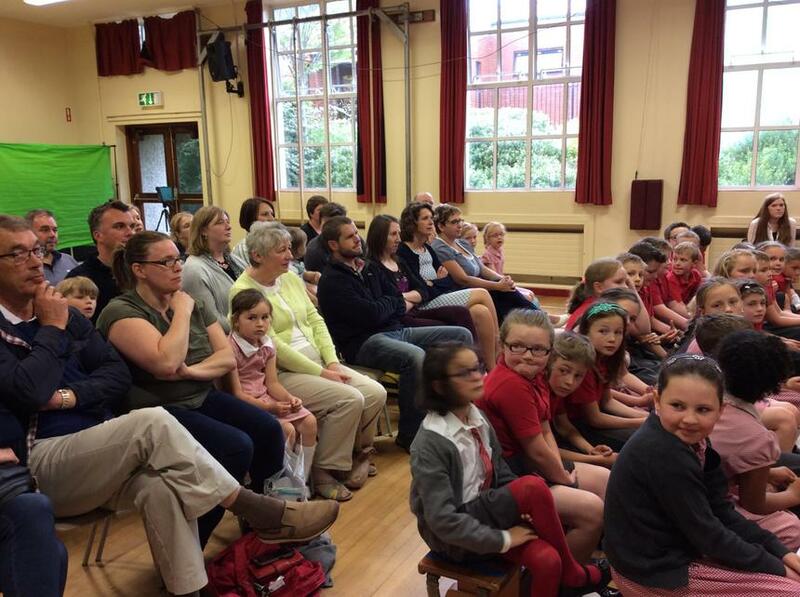 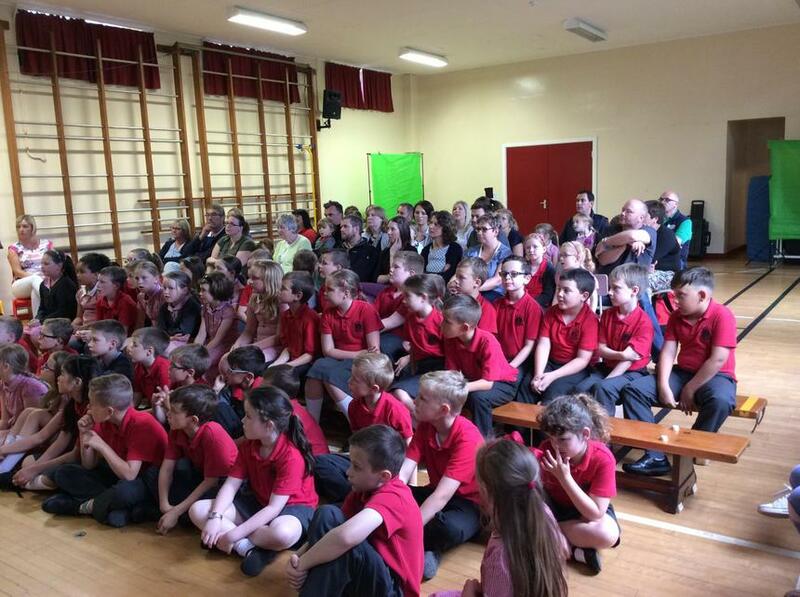 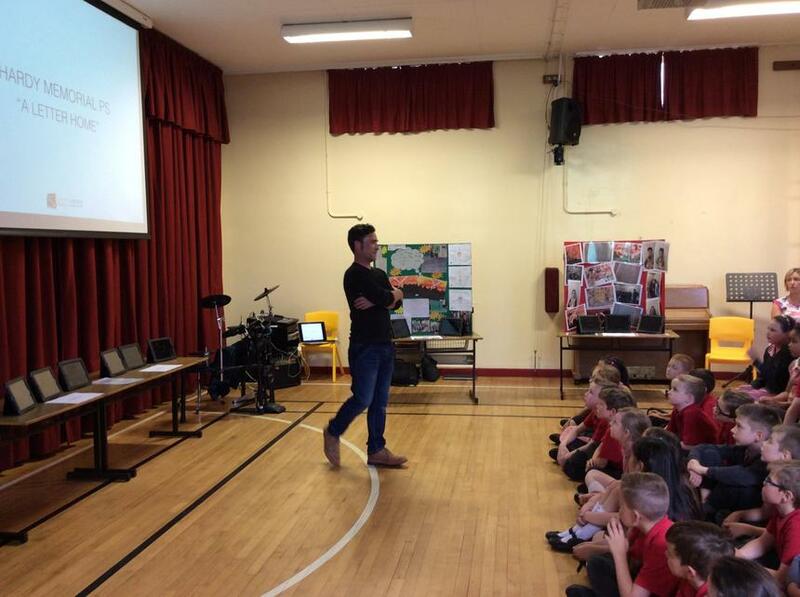 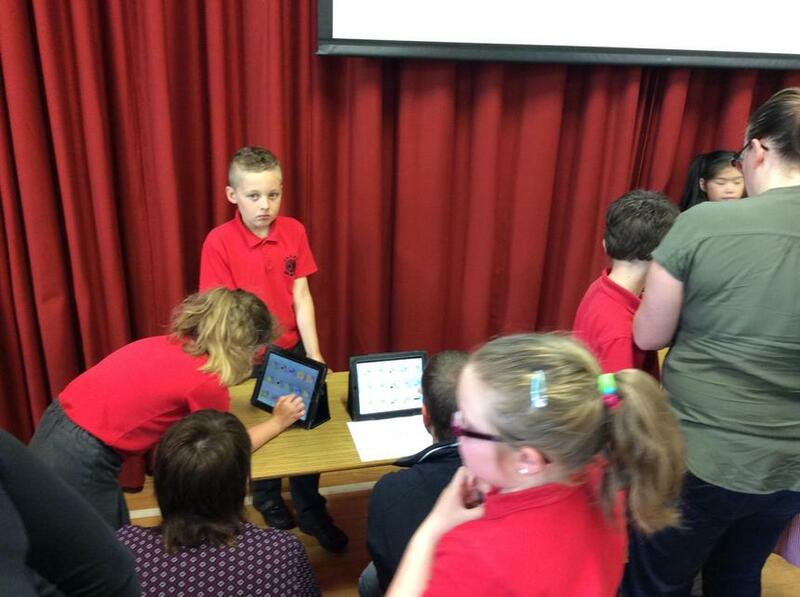 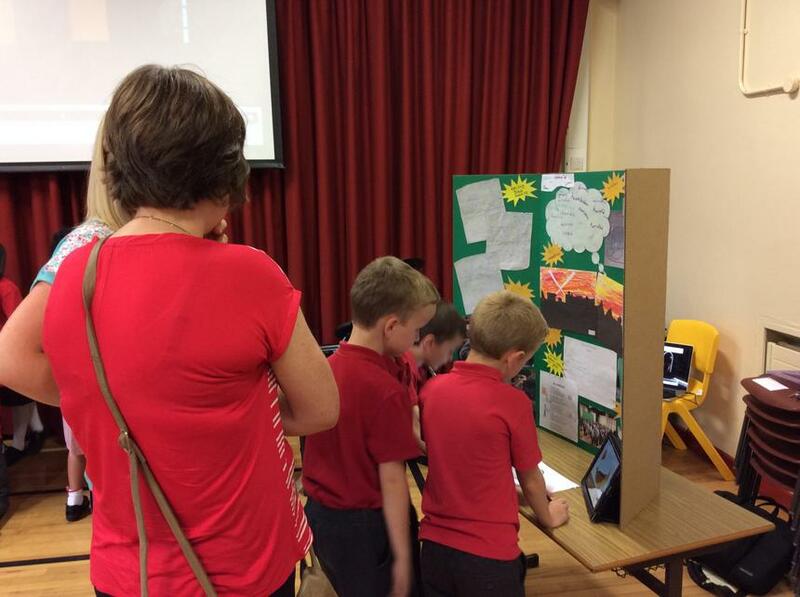 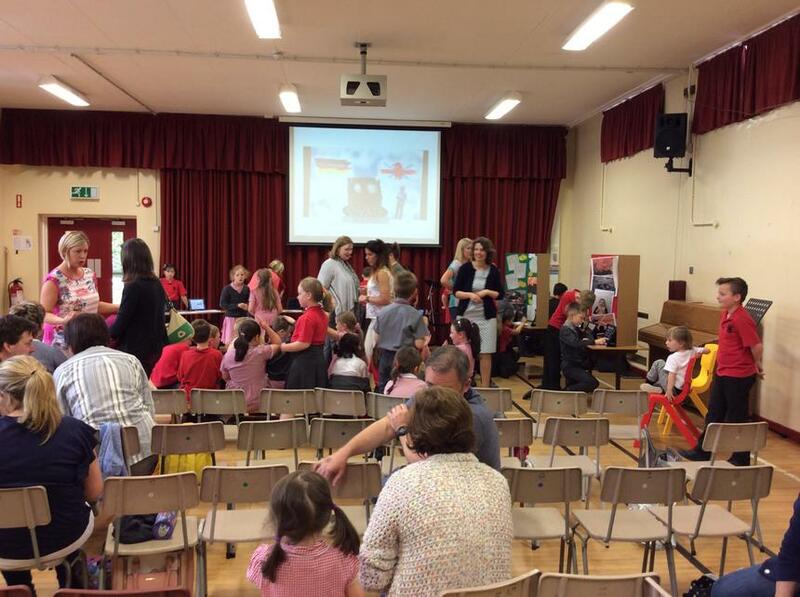 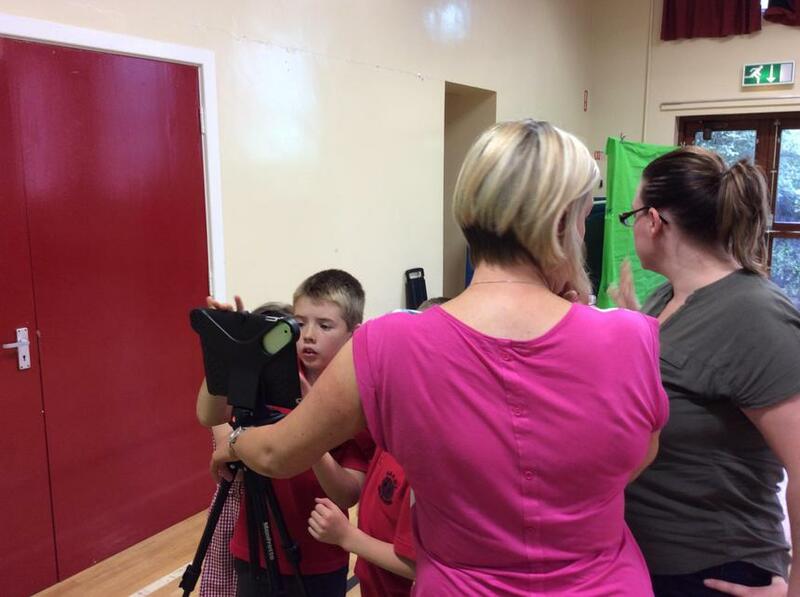 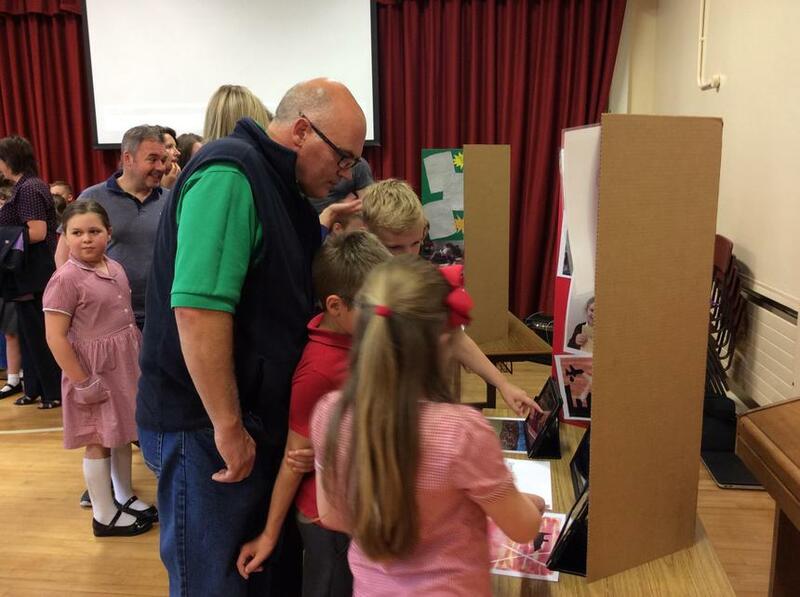 Many thanks to all the parents, grandparents and friends who joined us today when Niall from the Amma Centre, Armagh showed the fantastic Digital Media project the Primary 4 pupils have been involved in. 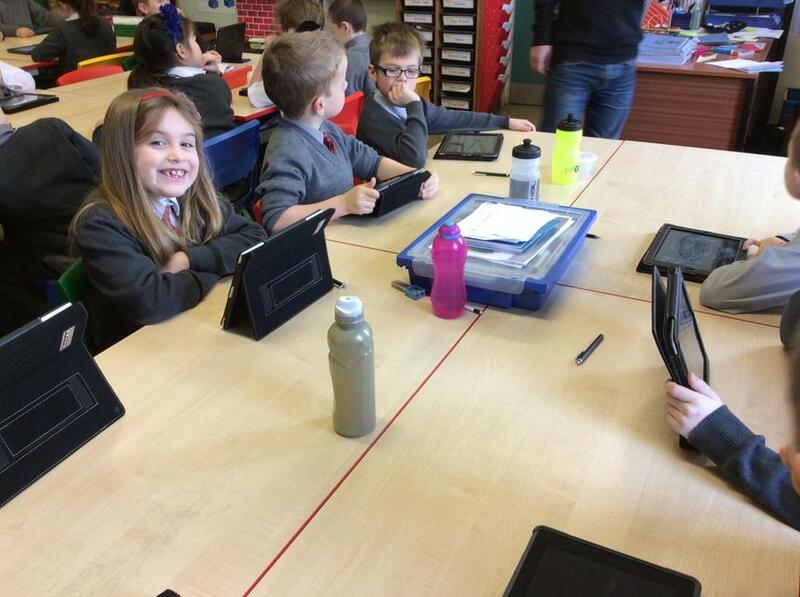 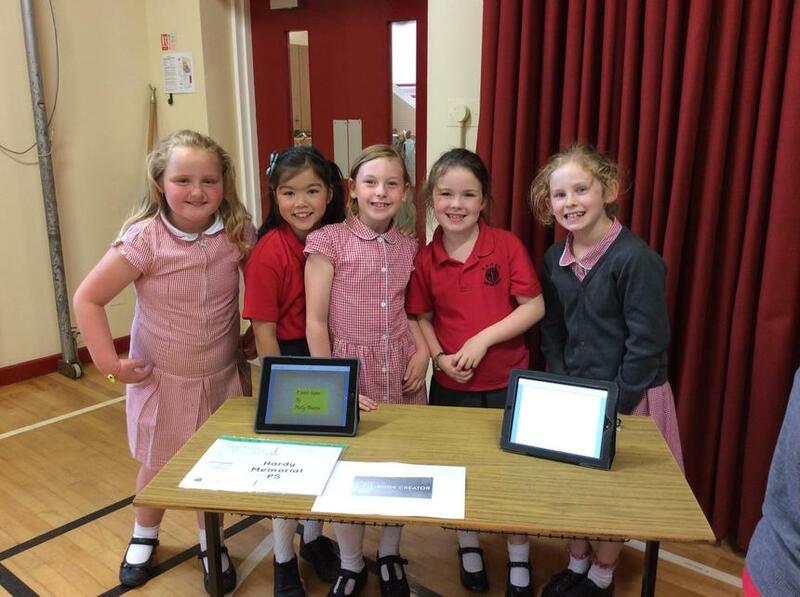 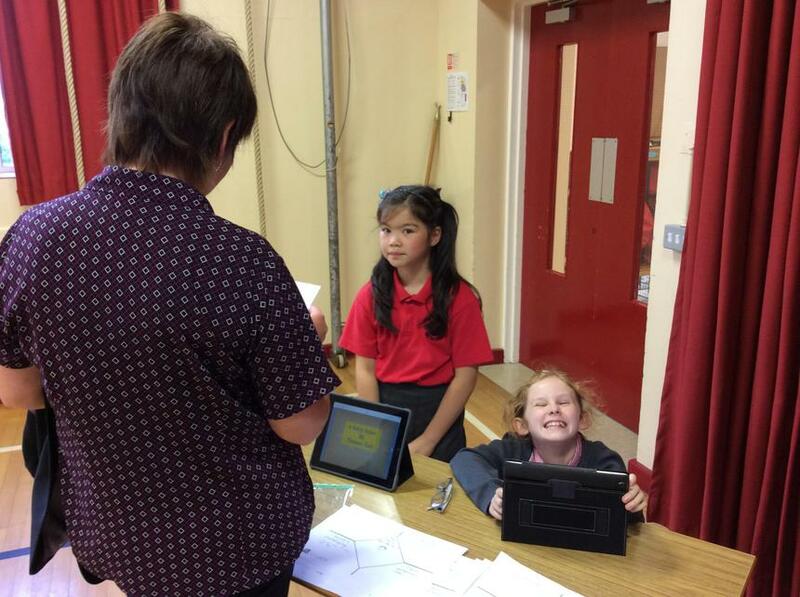 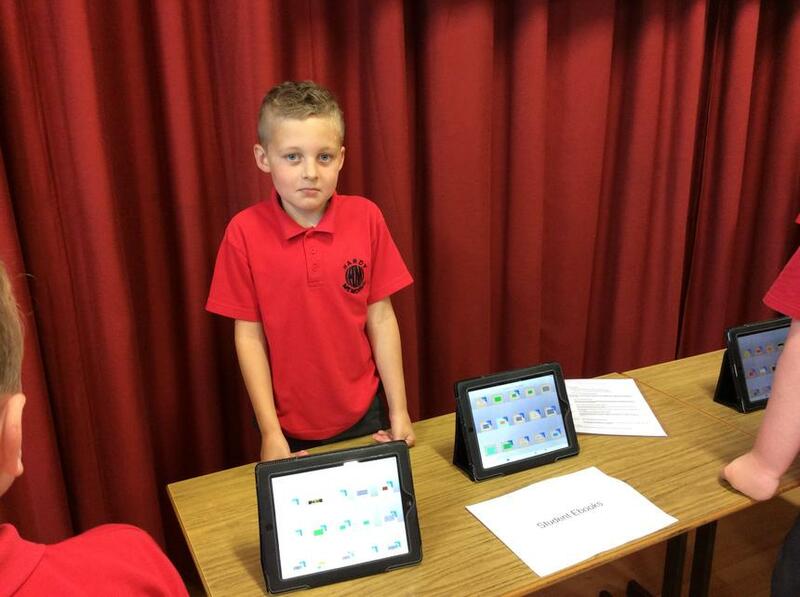 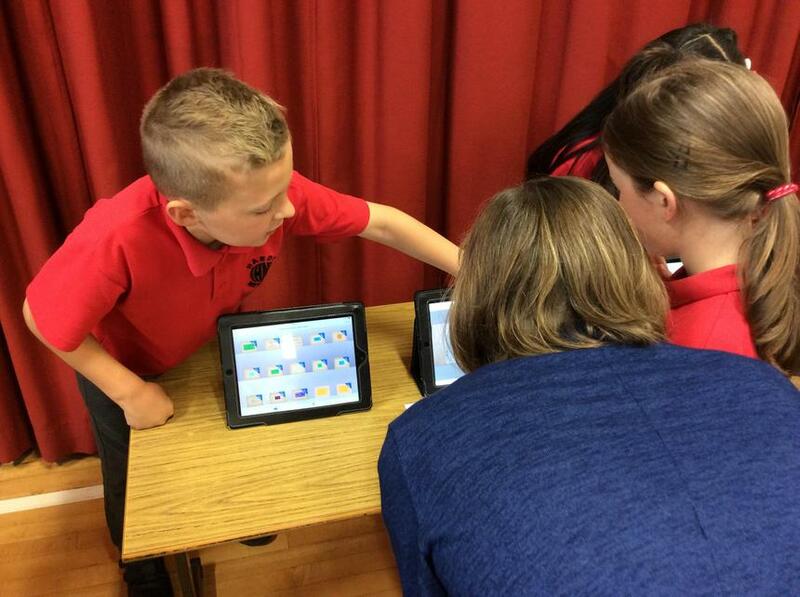 The children have been working on the iPad project and have gained valuable skills when using a variety of iPad Apps. 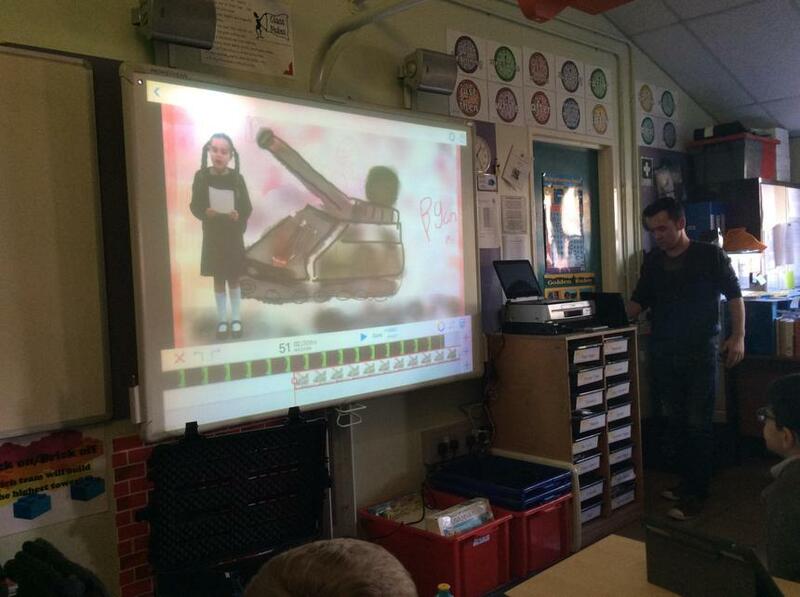 They have been creative incorporating them into their World Around Us topic on World War 2. 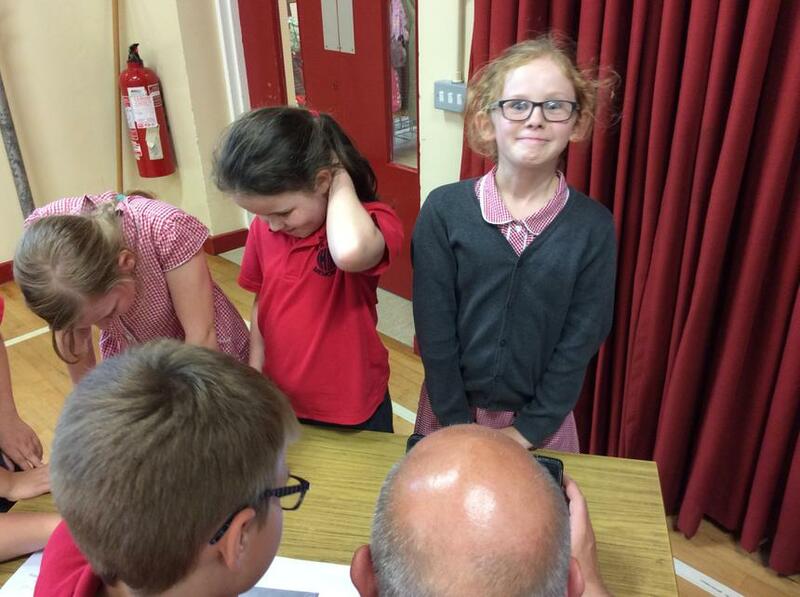 The results were great.